The first 140 years of JACS’ history. How the journal, its Editors, authors, reviewers and readers have helped to define and shape the field. your own contribution to the timeline and see where you fit into JACS’ history. 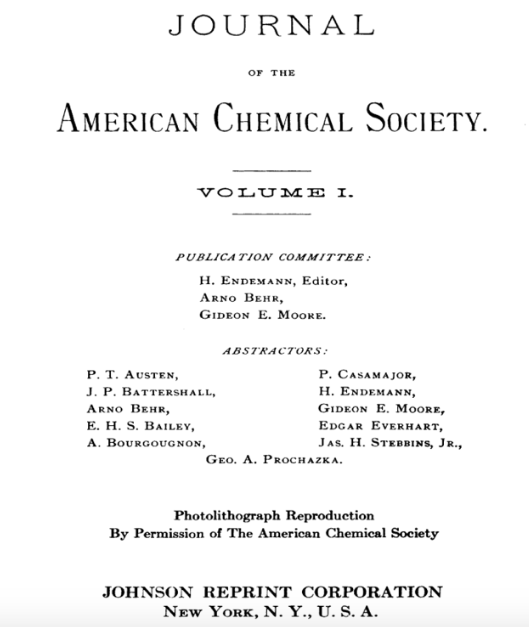 Three years after the formation of the ACS in April 1876, the first issue of the Journal of the American Chemical Society, now commonly known and referred to simply as JACS, was published in April 1879. As with many journals of the time, the first issue provided a simple summary of the most recent ACS meeting: Minutes were read and agreed upon, new members were elected and proposed, one resignation was submitted and accepted. 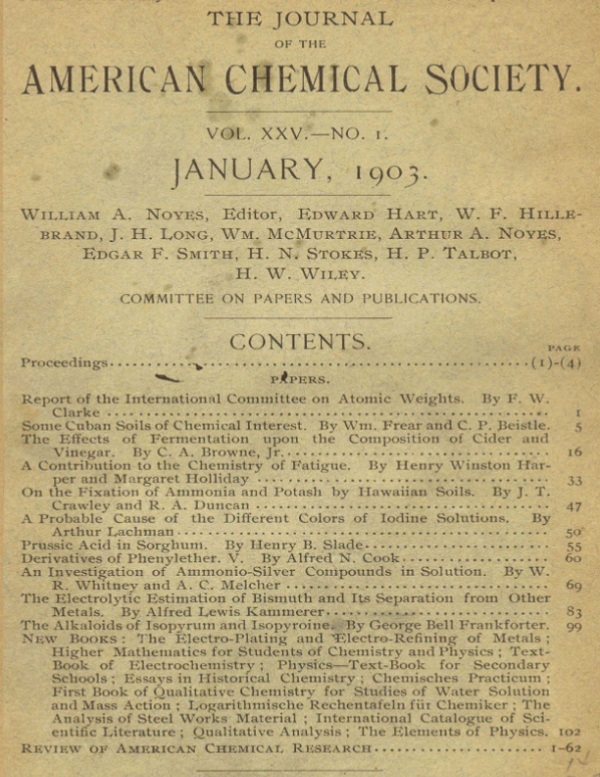 Subsequent “articles published in the journal were reports that had been delivered initially at meetings of the American Chemical Society in New York.” Read More from the Inaugural Issue. 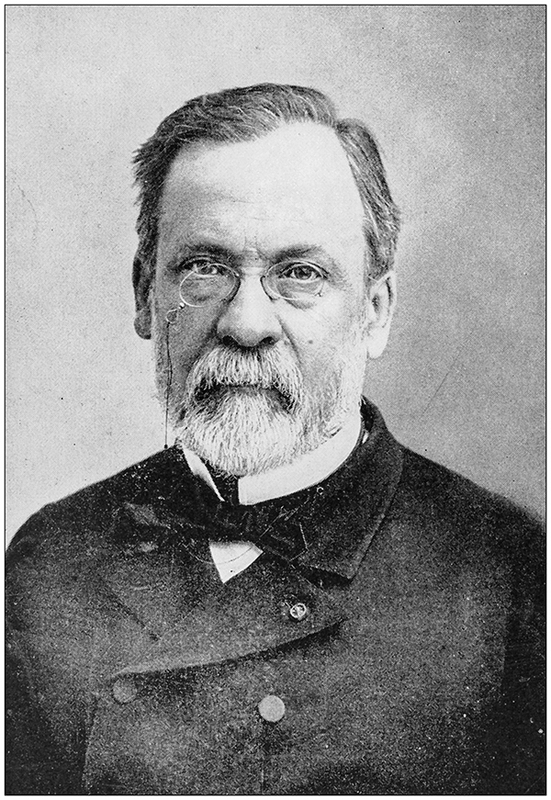 Hermann Endemann (1842–1909) was the first Editor of JACS for its first and third volumes. Dr. Endemann was a prominent expert chemist affiliated with the Columbia School of Mines. “The engineers trained at Columbia’s School of Mines during the 19th and 20th centuries contributed much in developing the technologies that provided the basic material needs of society,” and Dr. Endemann was no exception to this. In JACS, The American Chemist, and other journals, he published articles on topics such as salicylic acid and the chemical and physical analyses of milk. In 1872, in his position as Assistant Chemist to the Health Department of New York, Dr. Endemann cautioned the public against “highly coloured yellow, orange and green candies, and against highly flavoured candies,” because, upon analysis, he had detected ingredients in them that were either poisonous or “considered injurious” [as reported in The Medical Press and Circular, April 10, 1872]. 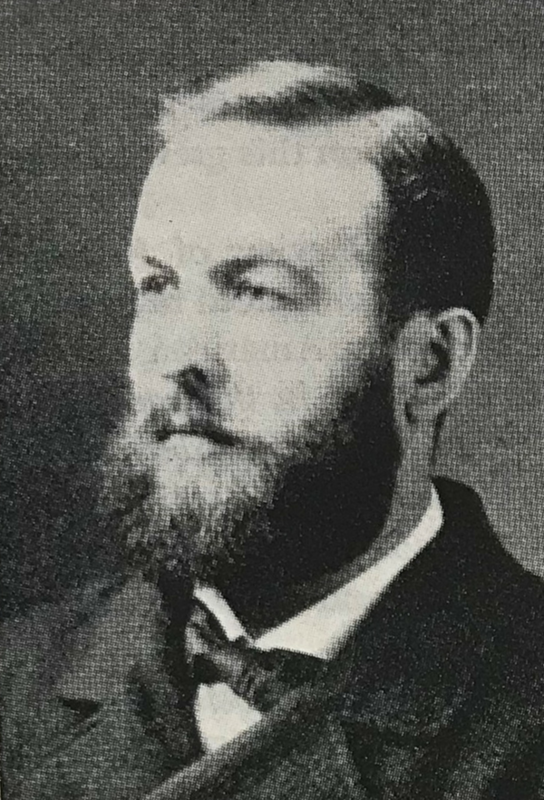 Gideon Emmet Moore (1842–1895) was Editor of the second volume of JACS. Dr. Moore was the first deaf American to earn a Ph.D. and was known for his perfect recall and, possibly, photographic memory. He succumbed suddenly to pneumonia and died in April 1895 at age 53 years. As reported in the May 1881 Proceedings of the Society, Dr. Moore resigned as Editor of JACS and “a committee, consisting of Drs. 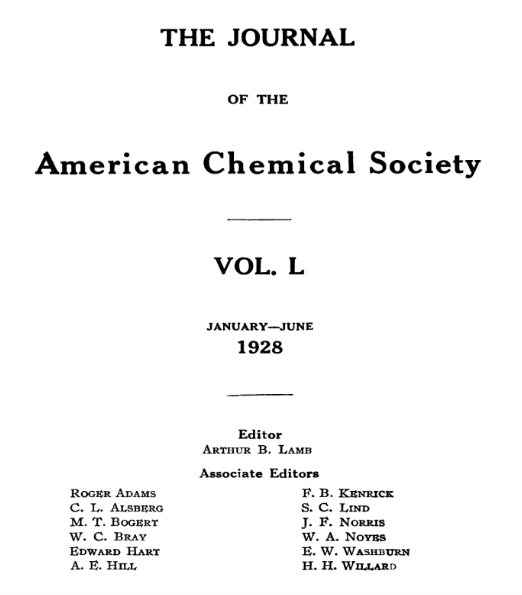 A. R. Leeds and A. R. Ledoux” was appointed “to report in regard to filling vacancy.” By the time of the next meeting in June, Dr. Endemann had been selected for the position and resumed his role as Editor of JACS. In March 1882, Dr. Endemann resigned as Editor of JACS. Drs. Behr and Ledoux had also resigned from the Committee on Papers and Publications, and it “was referred to the Board of Directors” to make a recommendation regarding the election of a new Committee. At the April meeting of the Society, it was announced that “Messr[s]. 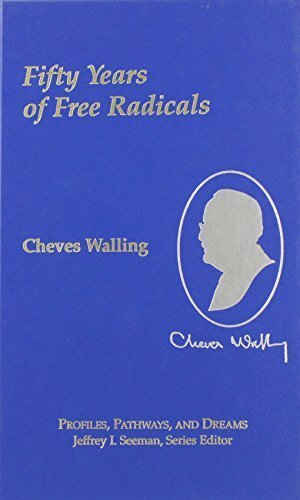 [E.] Waller, [C. A.] Doremus and [L. H.] Friedburg had consented to serve on said committee” and the Editorial Committee thus was formed. Toward the end of the April meeting, “Dr. Friedburg then moved that members should be instructed to send all their papers and manuscripts to the Committee on Papers and Publications for their approval before they are read.” This motion was carried unanimously. 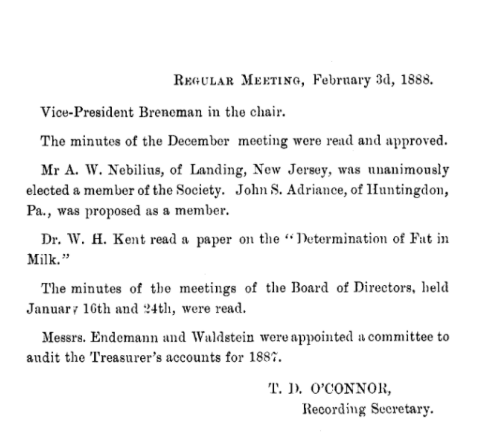 The Editorial Committee assumed the joint role of JACS Editor from 1882 to 1883. Over the years, JACS and other scientific journals have implemented various initiatives to generate revenue to offset publishing costs, including selling subscriptions, advertising, and page charges. Page charges, in particular, caused some difficulties for scientific journals when, in November 1976, the U.S. Postal Service determined to enforce a 60-year-old regulation that would deem articles with page charges to be advertising matter. There are no longer any charges or page limits for publishing in JACS, and these days, advertising is wholly digital and online. Advertising across all ACS journals is managed by the C&EN Media Group. Although subsequent volumes of JACS were relatively small, this does not appear to have been a long-lasting problem: The journal now receives more than 13,700 submissions each year! Abram Adam (A. A.) 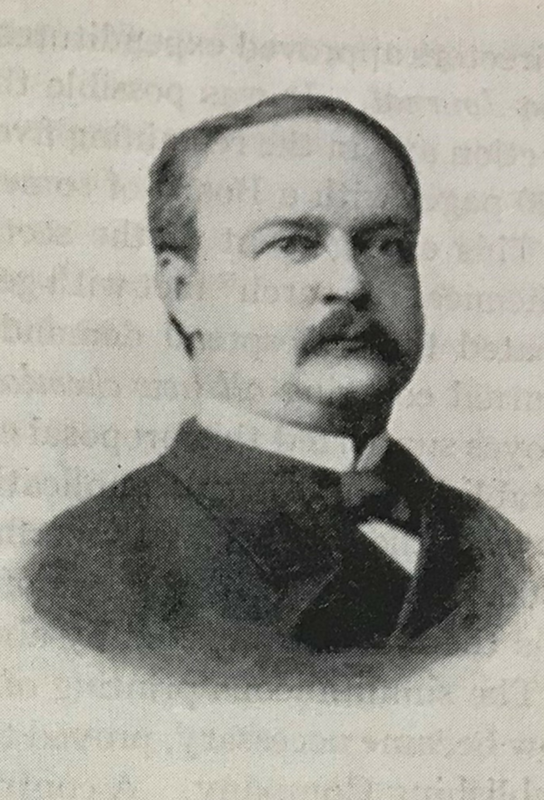 Breneman (1847–1928) was the third Editor-in-Chief of JACS, from 1884 to 1892. In his scientific work, Dr. Breneman is remembered for his research on “The Fixation of Atmospheric Nitrogen“, explosives, water, and ceramics, notably the invention of black oxide coating for the protection of iron. 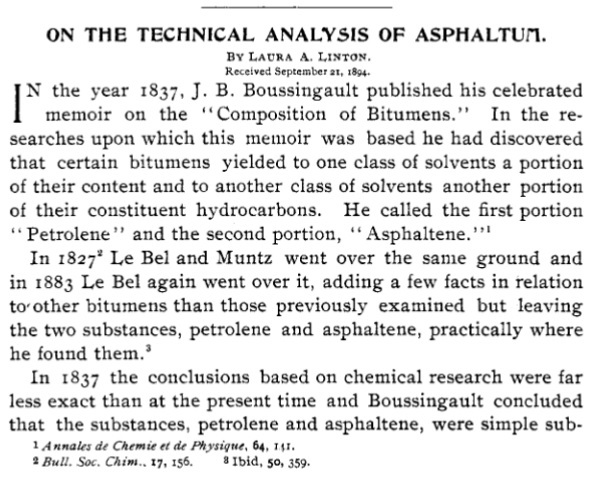 In 1888, JACS marked 10 years of continuous publication — no small feat for a scientific journal of the time. The young journal was hampered by several challenges, including competition from other newly established journals, such as Dr. Hart’s Journal of Analytical Chemistry, and a declining membership base. ACS membership was at a low point in 1888, with only 227 members, who were often late in paying their annual dues to the Society, which ultimately supported the journal. Nonetheless, the journal and its editors persevered. After “a general discussion of the state of the Society was held [in November 1889]…an energetic committee was appointed to secure pledges of money and of original scientific contributions to insure regular and adequate issues of the Journal. Rachel Holloway Lloyd (1839–1900) is believed to be the first American woman to earn a Ph.D. in chemistry. 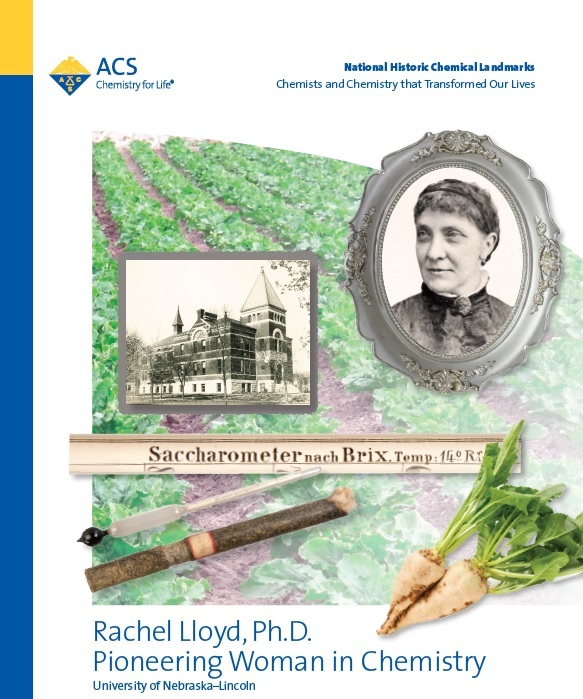 She was known for introducing beet sweetening agent as a sugar substitute and, in 1891, she became the first ‘regularly admitted’ female member of the ACS and the second woman to join the Society overall – the first being Rachel L. Bodley (1856-1888) who was one of the Society’s founding members. 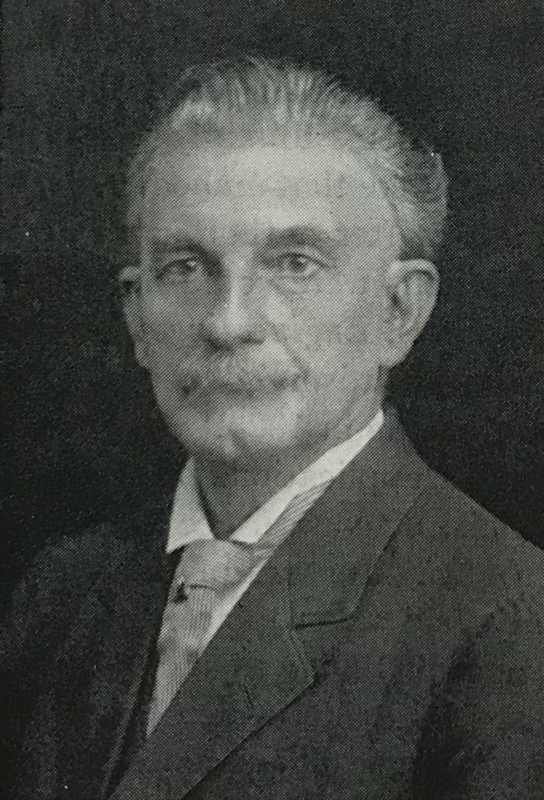 Edward Hart (1854–1931) was the fourth Editor-in-Chief of JACS, from 1893 to 1901. Due to his interest in the printing process, he began to edit his own journal, Journal of Analytical and Applied Chemistry, in 1887. However, shortly after Harvey W. Wiley become president of the ACS in 1893, he requested that Dr. Hart become the Editor-in-Chief of JACS instead. Hart merged his journal with JACS and while Dr. Wiley focused on attracting submissions to the journal, Dr. Hart edited and printed them. Two years into being editor, Hart asked to have the journal printed by the Chemical Publishing Company, which he owned and operated. The journal’s typography and format were markedly improved as a result of this transition, “…because of his [Hart’s] skill as a printer and his close, personal supervision…” This company later developed the Escenbach Printing Company, which, by 1923, printed all the ACS journals in addition to other technical publications. Dr. Hart died in 1931 at the age of 76 years; he was survived by his widow and seven children. Before the 1900s, it was very rare for a woman chemist to publish her research without a male co-author. Dr. Linton went on to study medicine and graduated with an M.D. in 1900 from the University of Minnesota. She remained on the staff of the State Mental Hospital in Rochester, Minnesota, until her death in April 1915. William A. Noyes (1857–1941) was the fifth Editor-in-Chief of JACS. He held the position for 15 years, from 1902 to 1917, and played an active role in the growth of not only the journal (during his tenure as Editor-in-Chief, JACS grew from printing 105 articles over 820 pages to publishing 257 articles across 2,756 pages) but of many other ACS journals. He founded Chemical Abstracts in 1907 and actively contributed to the development and launch of the Journal of Industrial and Engineering Chemistry, Chemical Monographs, and Chemical Reviews. 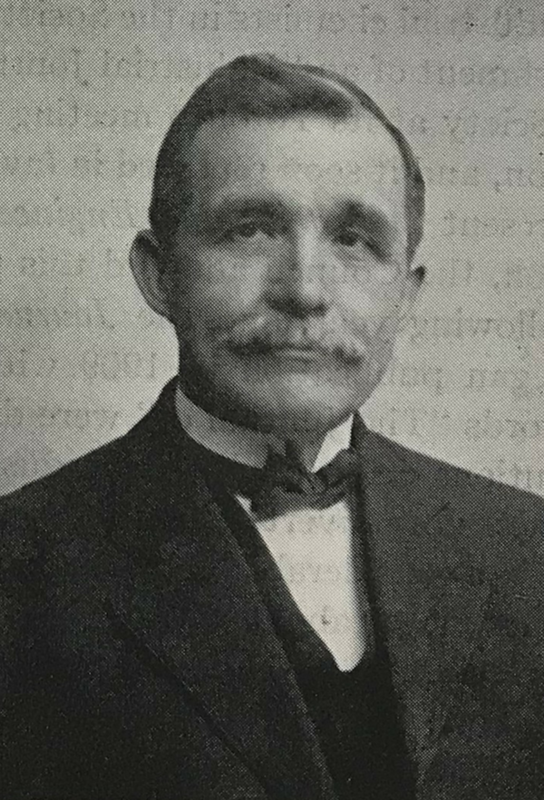 Dr. Noyes was also Secretary for the ACS for three years and its President in 1920. He was awarded the Nichols Medal in 1908, the Willard Gibbs Medal in 1920, and the Priestley Medal — the highest award of the ACS — in 1935. Dr. Noyes died in October 1941 after a brief illness. Noyes was a prolific author, and a selection of his papers published in JACS can be explored here. 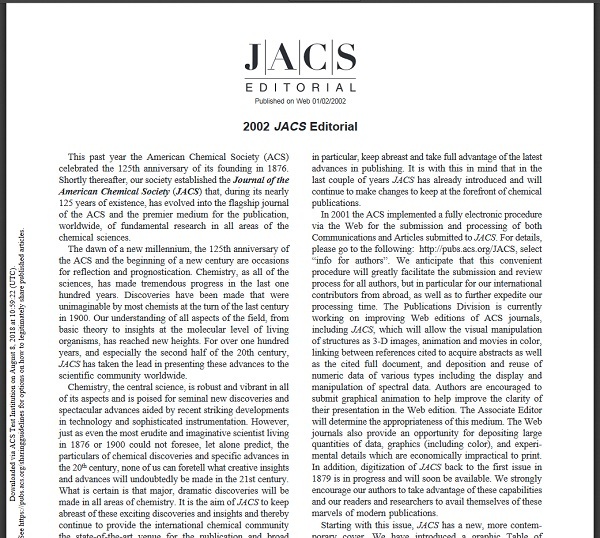 With William A. Noyes leading JACS as the Editor-in-Chief, the journal proudly entered its 25th year and a period of accelerated growth. Explore Issue 1 of JACS‘ 25th volume. Dr. Moissan died suddenly in 1907 shortly after his return from Stockholm, where he had received his Nobel Prize. 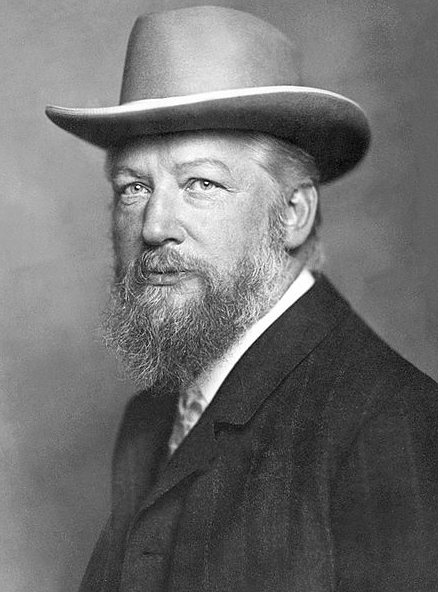 Wilhelm Ostwald (1853–1932) was awarded the 1909 Nobel Prize in Chemistry for his work on catalysis, chemical equilibria, and reaction rates. Dr. Ostwald was a pioneer in the field of electrochemistry and is said to be a founder in the field of classical physical chemistry. Dr. Ostwald was the friend and mentor of organic and physical chemist, and fellow Latvian, Paul Walden. Arthur Noyes and Willis Rodney Whitney also studied under Ostwald. In 1911, Agnes Fay Morgan (1884–1968) became one of the early women scientists listed as a co-author on a paper, “The Influence of the Magnetic Field on Passive Nickel & Iron“, which she wrote with Horace G. Byers (1872-1956). Soon after, in 1916, Dr. Morgan published “The Molecular Rearrangement of Some Triaryl-Methylchloroamines” in her own right as the sole author. In 1949, Dr. Morgan won the Garvan-Olin medal, which recognizes distinguished service in the field of chemistry by a woman chemist. Not only did she win an award recognizing women chemists, she also has an award named after her. 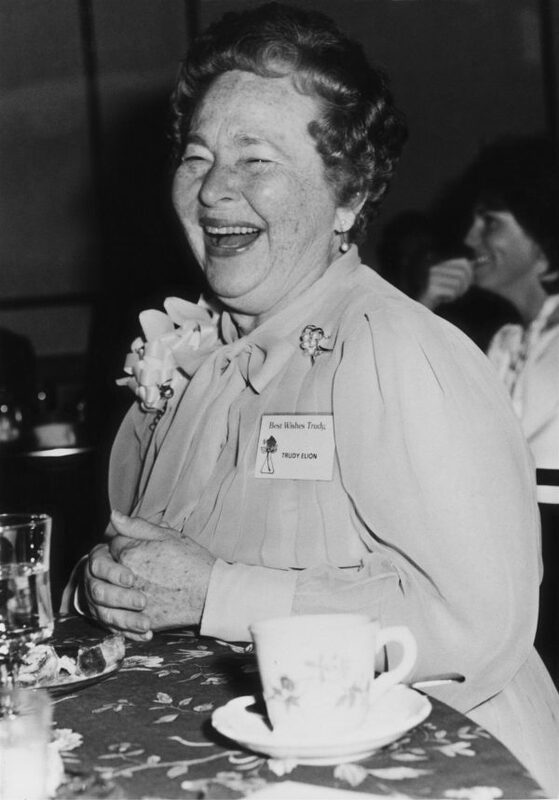 In 1951, the Agnes Fay Morgan Research Award was created to award women in the field of chemistry or biochemistry who are not older than 40 years during the nomination period. Dr. Morgan was a Professor of Nutrition and pioneer in developing the science of nutrition. 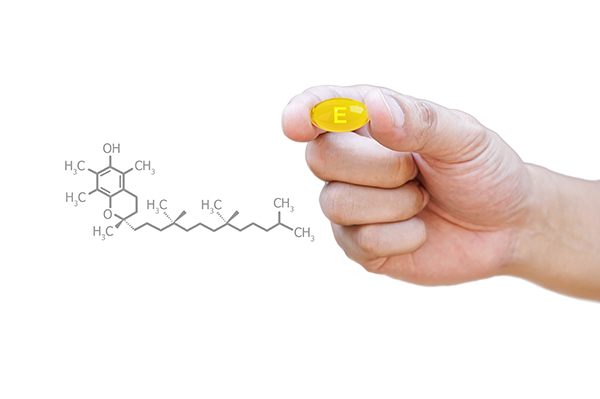 She was the first to recognize cause and effect between vitamin deficiencies and health. Theodore William Richards (1868–1928) was the first American scientist to receive the Nobel Prize in Chemistry, which he was awarded in 1914 – the same year in which he served as President of the ACS. Richards was home schooled until his early teens, before attending Haverford College from 1883 to 1885, when he graduated with his B.S. at the young age of 17 years. 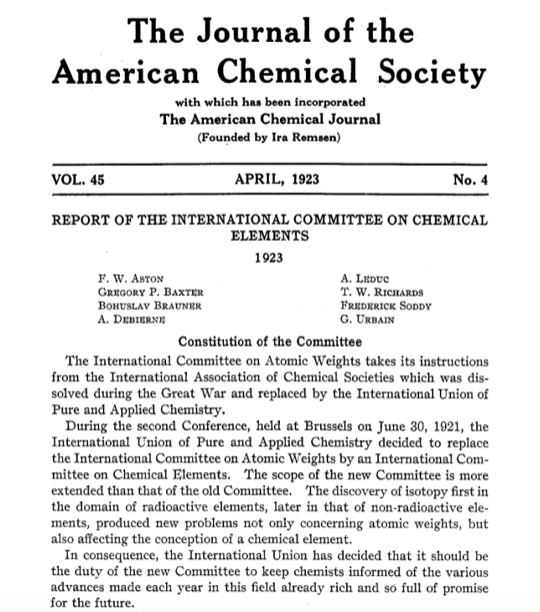 Only 5 years later, he published his first article in JACS and, from 1900 through the end of his career, would continue to publish extensively in the journal on his research on atomic weights. In 1912, Dr. Richards won the Willard Gibbs Medal Award, which recognizes chemists who help us better understand the way the world works. 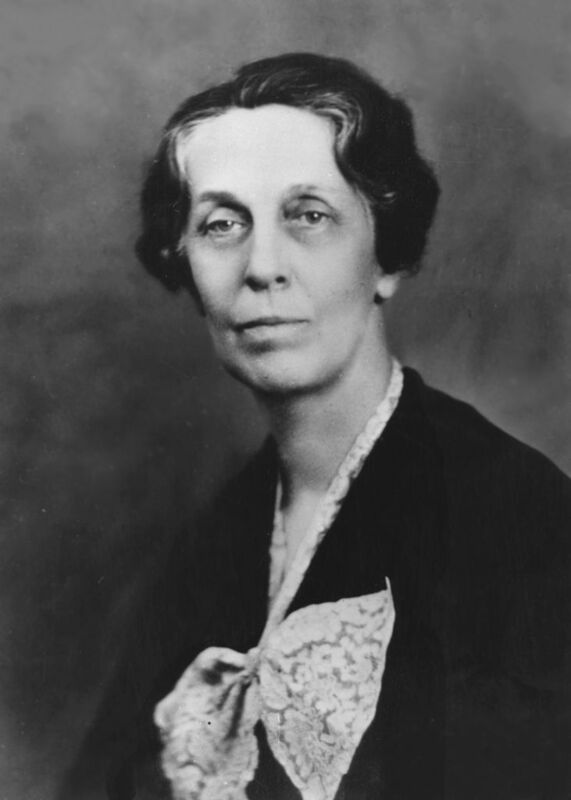 Alice Ball (1892–1916) is most well known for her work developing a treatment for the symptoms of Hansen disease, or leprosy. 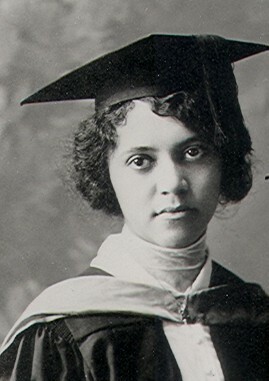 She was the first African American and the first woman to receive an M.S. from the University of Hawaii, and she went on to become the first female chemistry professor at the university. Unfortunately, with a promising career ahead of her, Ball died at the young age of 24 years and was unable to see all the benefits of her research, which were used in effectively treating patients through the 1940s. The Alice Augusta Ball Scholarship was created to honor full- and part-time students in the fields of chemistry, biology, or microbiology. In 1914, Ball, along with her pharmacy teacher, William M. Dehn, published her first article “Benzoylations in Ether Solution” in JACS. 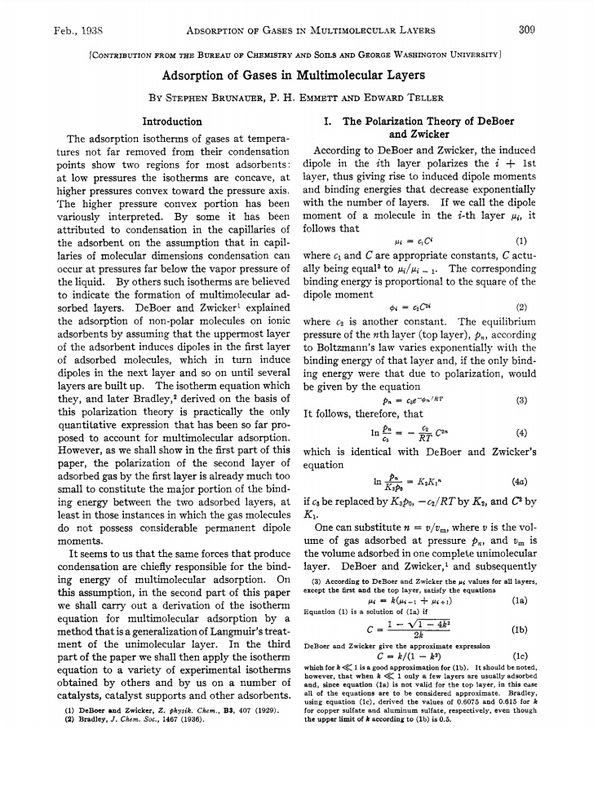 Her second article in the journal, “Colormetric Studies of Picrate Solutions” was published posthumously in 1917. 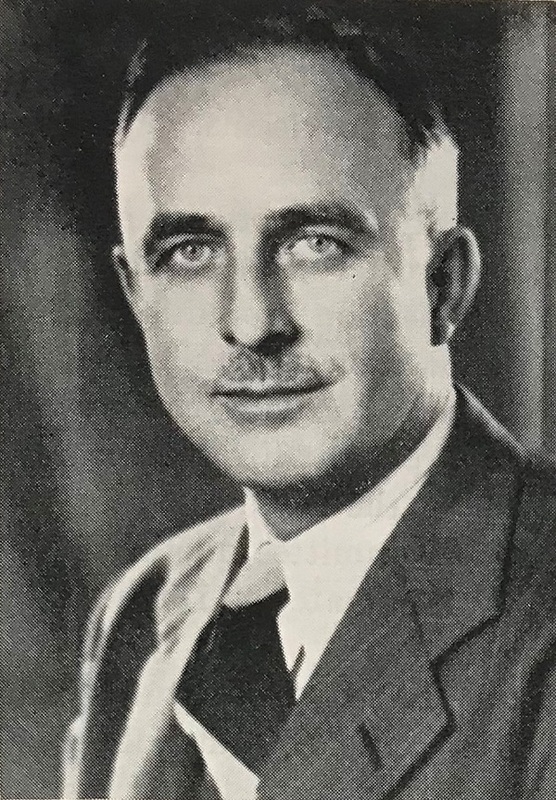 Arthur B. Lamb (1880–1952) was the sixth Editor-in-Chief of JACS and the longest-serving Editor in its history, guiding the journal through 30 years of tumultuous world events, namely two World Wars, from 1918-1949. During his time overseeing the journal, Dr. Lamb’s most influential decision was the introduction of the formal peer-review process. His hope was that by sending the manuscripts for anonymous review by experts in the field, any unfairness, perceived or existing, in the publication process would be eliminated. JACS embarked on a new way to review research in an unbiased manner, and peer review is used today by more than 20,000 journals worldwide. In 1921, English chemist Frederick Soddy (1877–1956) won the Nobel Prize in Chemistry for his contributions regarding radioactive substances and his work with isotopes, some of which were carried out alongside Sir Ernest Rutherford. Take a look at the 1923 Report of the International Committee on Chemical Elements for some of Soddy’s work. 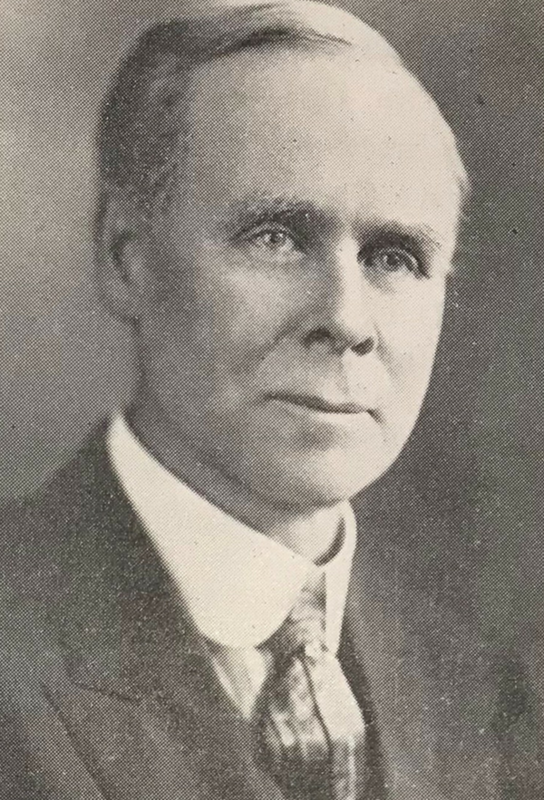 Ten years into Arthur B. Lamb’s remarkable tenure as Editor-in-Chief, the journal celebrates its 50th volume in 1928, under his editorial leadership. Delve into the JACS archive for a look at Volume 50, Issue 1. 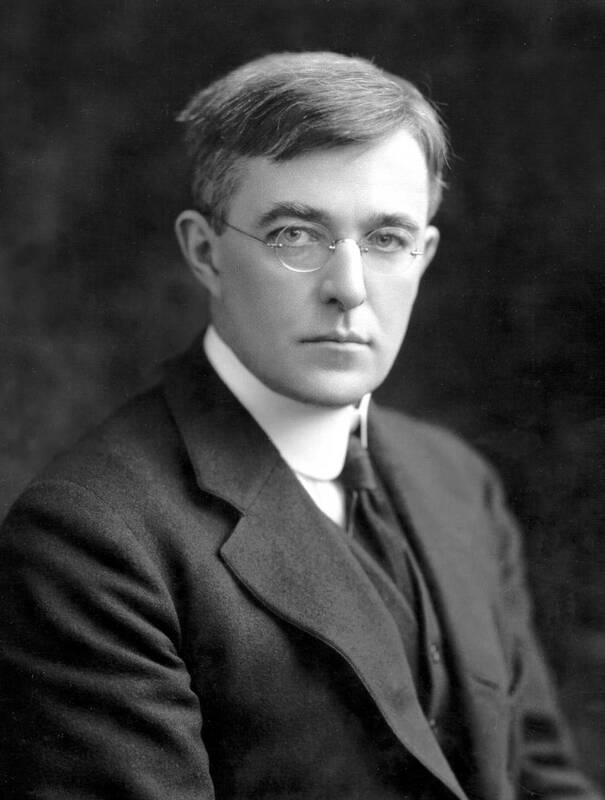 Irving Langmuir (1881–1957) won the 1932 Nobel Prize in Chemistry for his work in surface chemistry. He was a prolific JACS author and he also served as President of the ACS. 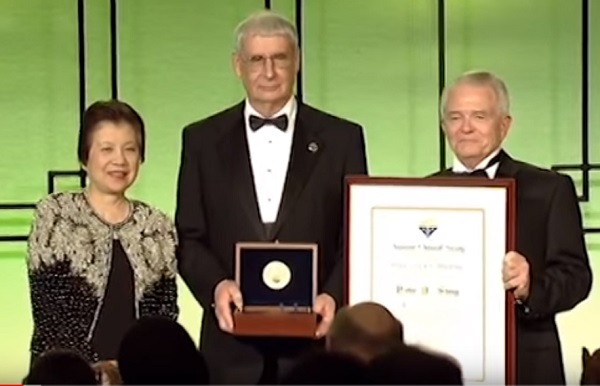 In 1964, the Irving Langmuir Award in Chemical Physics was established in his honor. The award is given every 2 years and recognizes outstanding interdisciplinary research in chemistry and physics. In addition to his published work, Dr. Langmuir’s work is recognized with the naming of the journal Langmuir, which began publication in 1985. Read the Langmuir journal’s inaugural editorial. Read More articles from Dr. Langmuir. Katharine Burr Blodgett (1898–1979) was the first woman to receive her Ph.D. in physics from Cambridge University. The daughter of a patent attorney for General Electric (GE), Dr. Blodgett too found herself working at GE alongside Irving Langmuir. 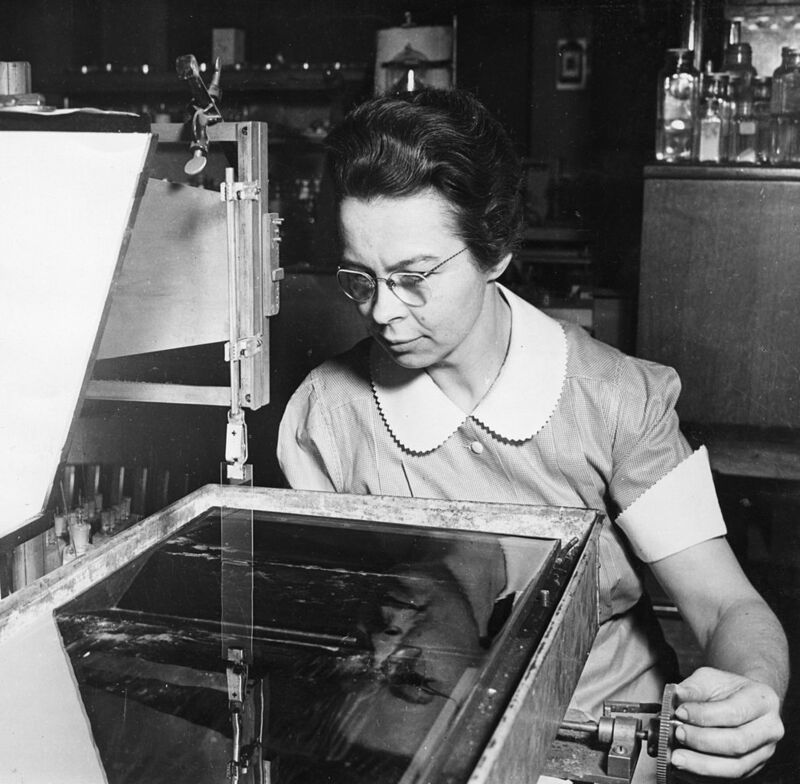 Dr. Langmuir was impressed with her work and she became his assistant in the GE laboratory, the first woman to hold the position. Dr. Blodgett’s discoveries were revolutionary and included inventing nonreflecting glass and developing military applications such as airplane de-icing and smokescreen machines, which were used during Word War II. Her research published in JACS documented a method to spread successive monomolecular layers onto glass or metal, building up to over 200 layers. Her way of measuring transparent objects is still used. Dr. Blodgett was awarded the ACS Garvan-Olin Medal in 1951. Percy Lavon Julian (1899–1975) was an African American chemist who pioneered the chemical synthesis of medicinal drugs from plants. He is most widely recognized for being the first person to synthesize the natural product physostigmine. Julian’s research made it possible for physostigmine to be used in treatments for glaucoma. From 1933-1935 Percy Julian and his colleagues at the DePauw University published a series of articles in JACS, outlining the results of their research. Over the course of his lifetime, Julian published 43 articles in JACS. As covered in C&EN, Julian was also the subject of the biographic film: “Forgotten Genius”. The Society celebrated Julian’s lifetime of pioneering achievements in the chemical synthesis of commercially important medicinal products from plants in the American Chemical Society National Historic Chemical Landmarks feature. 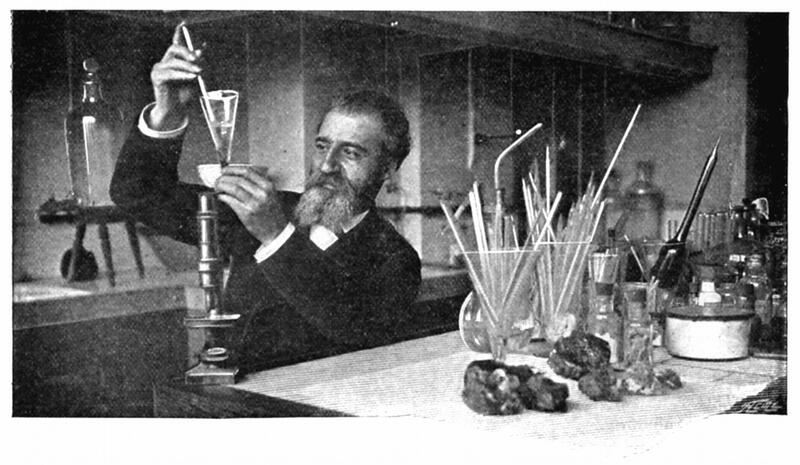 Percy Julian: Synthesis of Physostigmine. (accessed February 21, 2019)]. Emma P. Carr (1880–1972) won the inaugural Garvan-Olin medal in 1937. Dr. Carr authored numerous papers in JACS during her career, which was largely focused on ultraviolet spectra of organic molecules. Published in 1938, JACS‘ most-cited article to date was authored by Stephen Brunauer, P. H. Emmett, and Edward Teller. The article, “Adsorption of Gases in Multimolecular Layers,” continues to attract citations, garnering more than 16,200 citations to date. 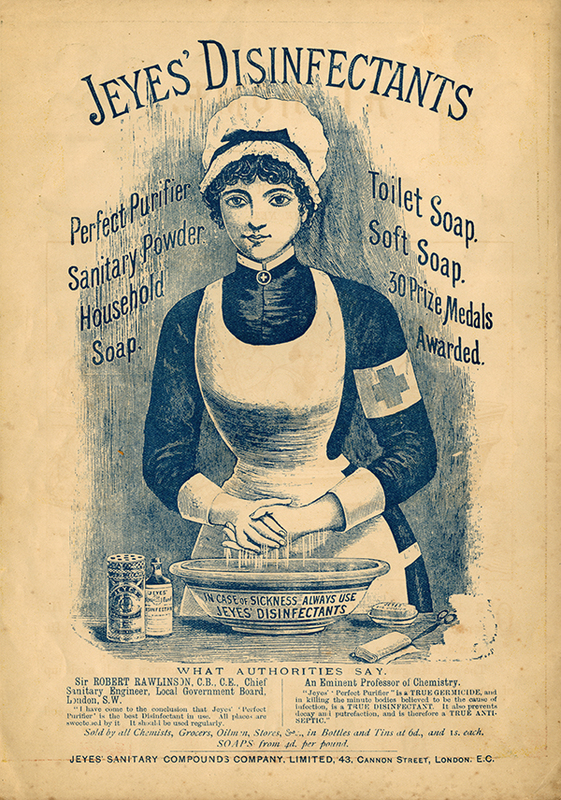 Mary Engle Pennington (1872–1952) was a pioneer in the food preservation process. Her studies focused primarily on refrigeration, and she sought to learn how to keep food fresh and safe for consumption. She developed the standards to keep food items such as eggs, chicken meat, and milk from becoming contaminated with bacteria. Take a look at an example of Pennington’s research. In 1940, Dr. Pennington was awarded the Garvan-Olin Medal, which is given to recognize distinguished service to chemistry by women chemists. 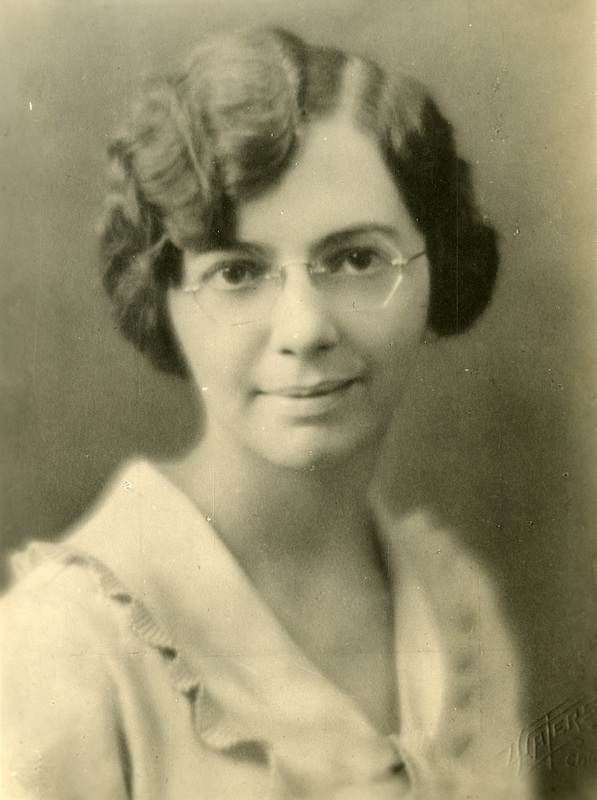 The 1942 Garvan-Olin medal was awarded to Florence Seibert (1897–1991), best known for her work on tuberculosis. She made critical advances in the diagnosis of the disease by isolating proteins from culture. Her work in medicine has made a lasting impact by ensuring the safety of intravenous drug therapy and cancer etiology. A selection of Dr. Seibert’s articles were published in JACS between 1937 and 1950. A new Editor-in-Chief: W. Albert Noyes, Jr.
W. Albert Noyes Jr. (1898–1980) was the seventh Editor-in-Chief of JACS, and served in this post for 12 years from 1950-1962. He was born into a chemistry family: He and his father, W. Albert Noyes Sr., are the only father and son to each win the Priestly Medal. In addition to his role as JACS editor from 1950 to 1962, Dr. Noyes Jr. was also the editor of Chemical Reviews from 1939 to 1949 and editor of The Journal of Physical Chemistry from 1952 to 1964. 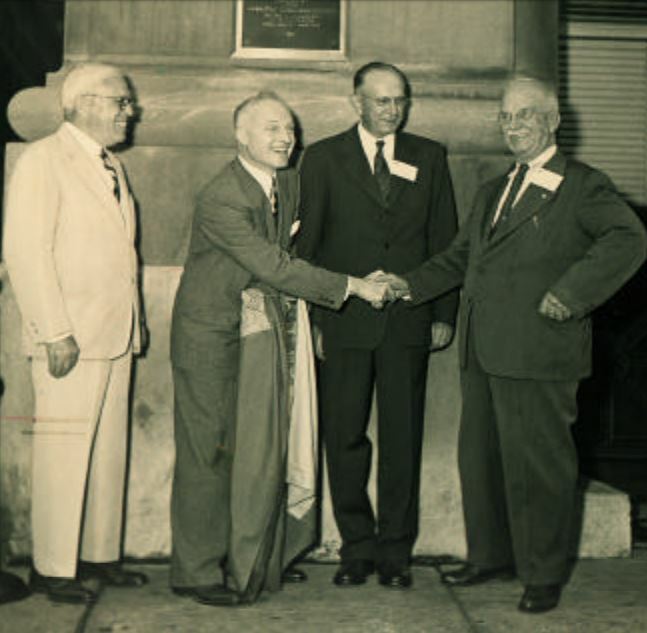 In 1947, Dr. Noyes Jr. was the President of the ACS. 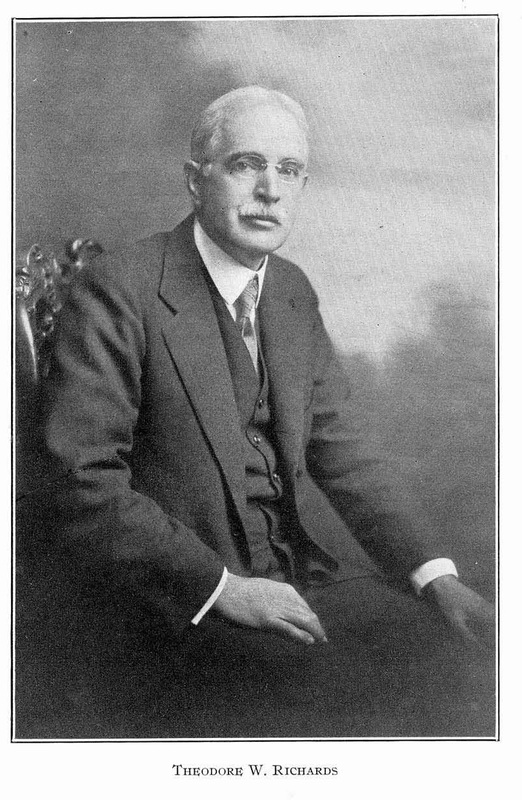 He followed closely in the footsteps of his father: Dr. Noyes Sr. was also Editor-in-Chief of JACS and Chemical Reviews, in addition to being President of the ACS in 1920. Dr. Noyes Jr. focused his research on photochemistry and, during World War II, he studied “the effects of poison gas and gas masks in combat, learning the practical difficulties of bridging the gap between laboratory and production,” he said. Explore a selection of Dr. Noyes Jr’s research. In January 1952, the journal began publishing biweekly. Still under the editorial leadership of W. Albert Noyes Jr., the increase in frequency of the journal from monthly to every other week, reflected the growth of the field and the speed with which authors wished to have their research communicated. Gladys Emerson (1903–1984) is best known for her research work on vitamins, specifically vitamin E.
She had a long career in nutrition research and published several articles in JACS. 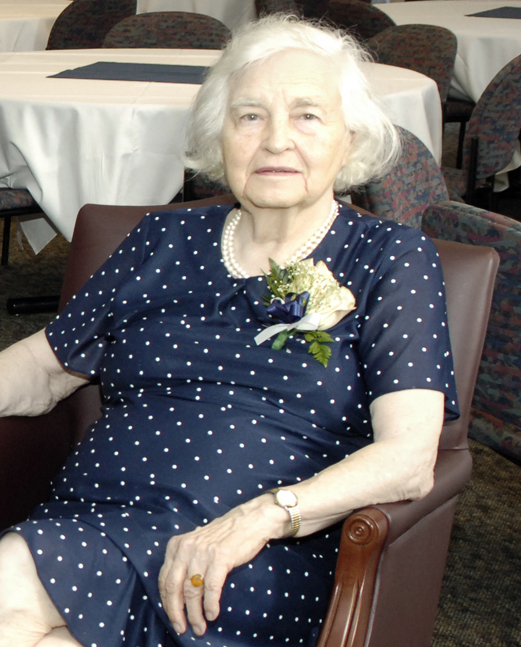 The annual Gladys Anderson Emerson Undergraduate Scholarship award was established in her honor. The award recognizes undergraduate women demonstrating excellence in chemistry or biochemistry. 1953, the year of JACS‘ 75th volume, remains a historic year for science thanks to the work of James Watson, Francis Crick, Rosalind Franklin, Raymond Gosling, and Maurice Wilkins. It was in 1953 that Watson and Crick announced the discovery of the double helix, the twisted ladder structure of DNA. The topic remains of great interest for many scientists, with hundreds of papers published in JACS still working to unravel subsequent mysteries. 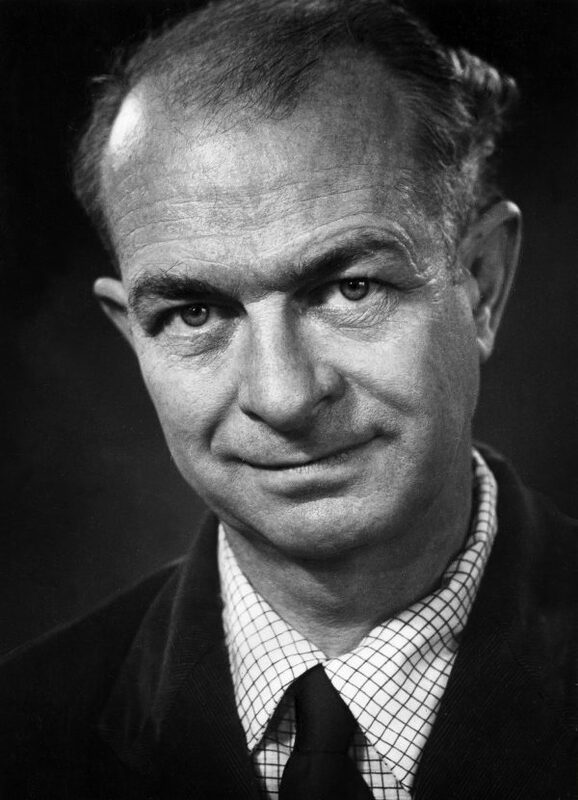 Linus Pauling (1901–1994) won the 1954 Nobel Prize in Chemistry for his research in chemical bonding and its application to complex substances. Eight years later, in 1962, Dr. Pauling was awarded the Nobel Peace Prize, having become strongly opposed to the use of weapons of mass destruction after the bombing of Hiroshima and Nagasaki. In 1966, the Linus Pauling Medal was created to recognize excellence in chemistry that embodies the spirit of Dr. Pauling. JACS is proud to have published much of the work by this esteemed and historic scientist. In 1955, Vincent du Vigneaud (1901–1978) won the Nobel Prize in Chemistry for his work with sulfurous compounds, including oxytocin, a hormone that, among other things, plays a role in sexual intimacy and reproduction among mammals. 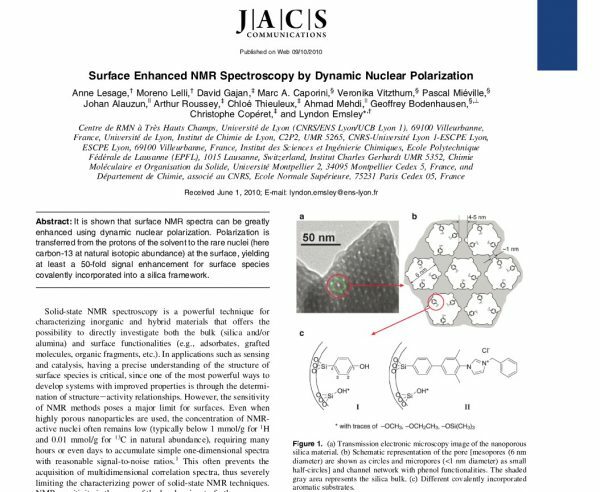 Explore a selection of du Vigneaud’s research published in JACS. 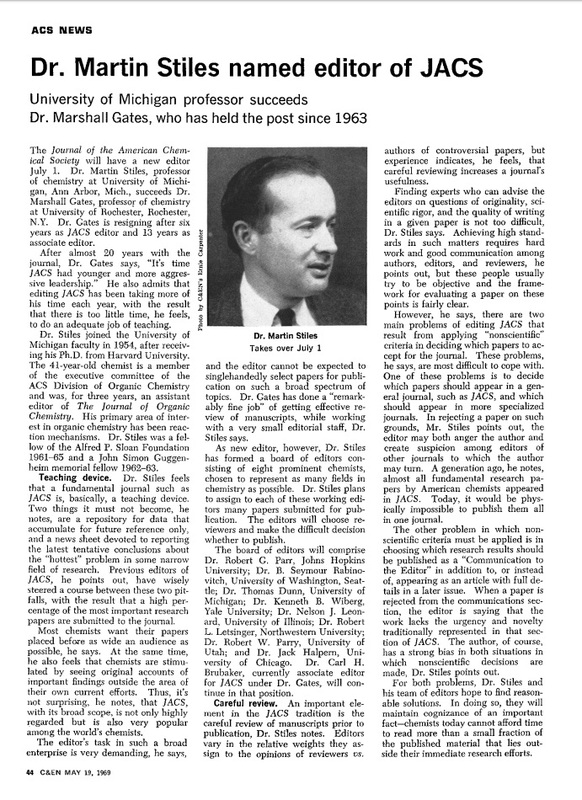 Marshall D. Gates (1915–2003) was the eighth Editor-in-Chief of JACS. Having served as Assistant Editor since 1949, he was named the new Editor-in-Chief in 1963, after Dr. Noyes Jr. retired. Dr. Gates was known as the authority on the synthesis of organic compounds and achieved the first synthesis of morphine in 1952. He published more than 30 articles in JACS and served as Editor-in-Chief for 6 years, until Martin Stiles took over the position. Gertrude Perlmann (1912–1974) was a prolific author, with numerous articles published in JACS. 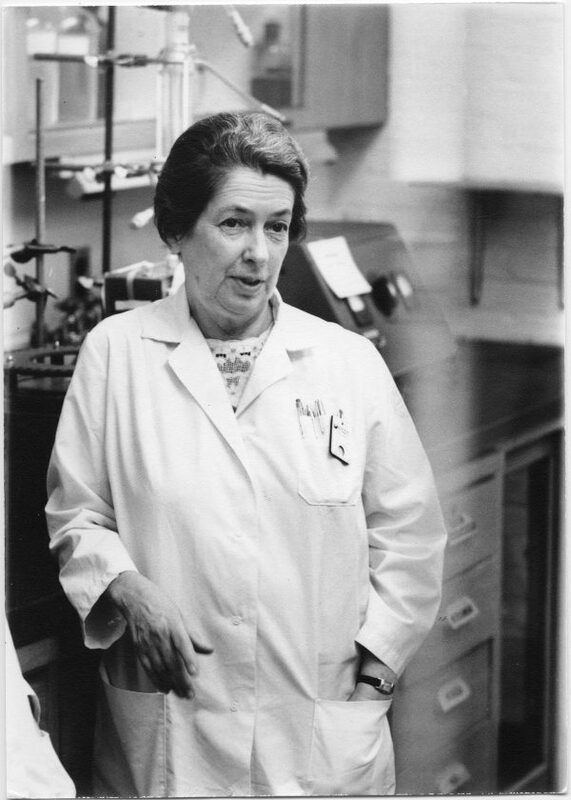 She won the 1965 Garvan-Olin medal for her contributions to the field of chemistry, specifically for her research on the structure of pepsin, an enzyme that hastens food digestion. 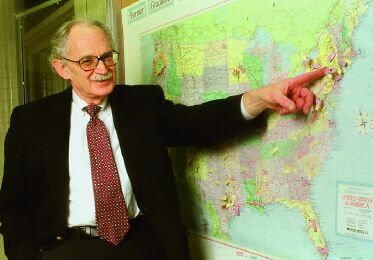 Dr. Perlmann emigrated to the U.S. at the beginning of World War II, after escaping Czechoslovakia and the German invasion. She worked at the Rockefeller Institute for 28 years. In July 1969, Martin Stiles (1928–2011) took over as ninth Editor-in-Chief, after having been an Associate Editor for The Journal of Organic Chemistry for 3 years. He served in the role of Editor-in-Chief for 5 years. Dr. Stiles felt that a fundamental journal such as JACS was, basically, a teaching device and, upon assuming his new role, he stressed the importance of careful pre-publication review to ensure a journal’s usefulness. 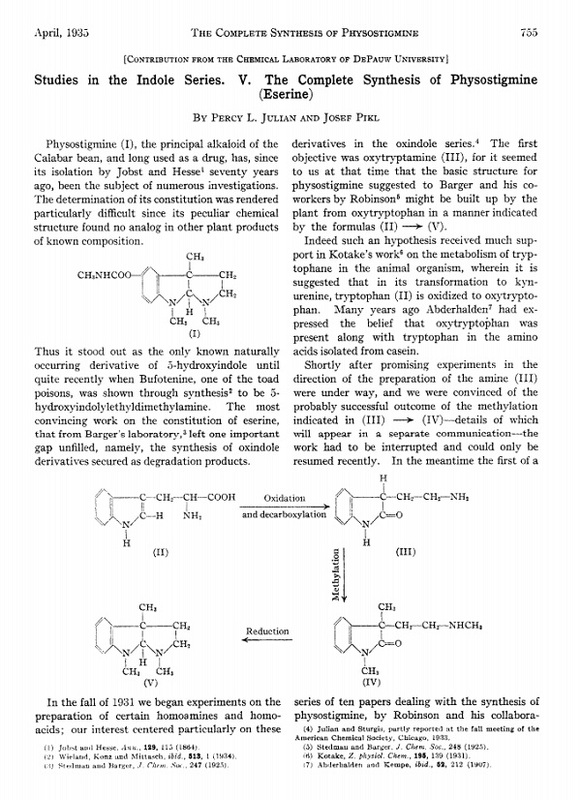 Dr. Stiles’ primary area of interest in organic chemistry was reaction mechanisms, and you can read a selection of his papers from the JACS archive. In 1974, JACS received its inaugural Impact Factor (published in 1975) of 4.383. In just over 40 years, the journal would record its highest Impact Factor ever of 14.357*. The journal remains the most-cited journal in chemistry, with articles attracting more than 533,000 citations in 2017*. 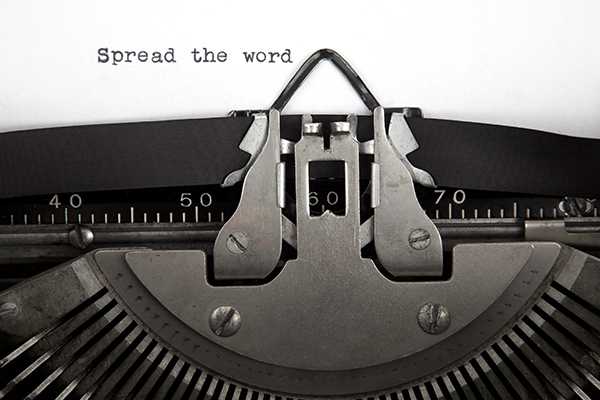 Find out more about the impact of ACS Journals. Cheves Walling (1916–2007) served as the 10th Editor-in-Chief of JACS from 1975 to 1981. He was best known for his work in free-radical chemistry and published his research extensively in JACS. Dr. Walling played a key role in the growth and development of chemistry at the University of Utah, where he stayed from 1970 until his retirement in 1991 as a distinguished professor emeritus of chemistry. “Walling was one of the grand old men of chemistry, with a wry wit and an affable disposition,” noted Peter B. Armentrout, a colleague and current University of Utah Professor. 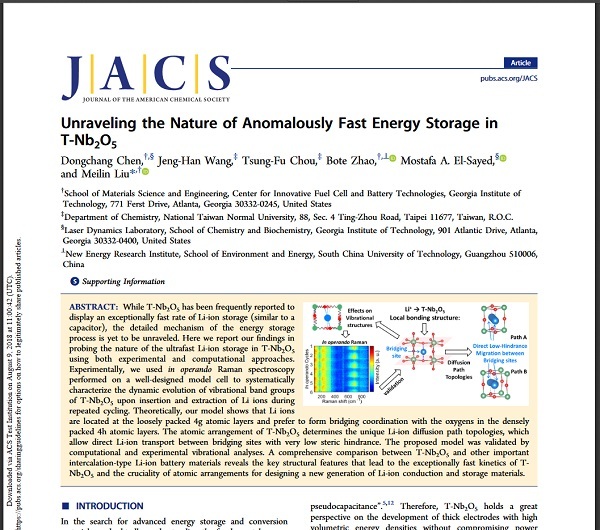 Explore a selection of Walling’s articles in JACS. 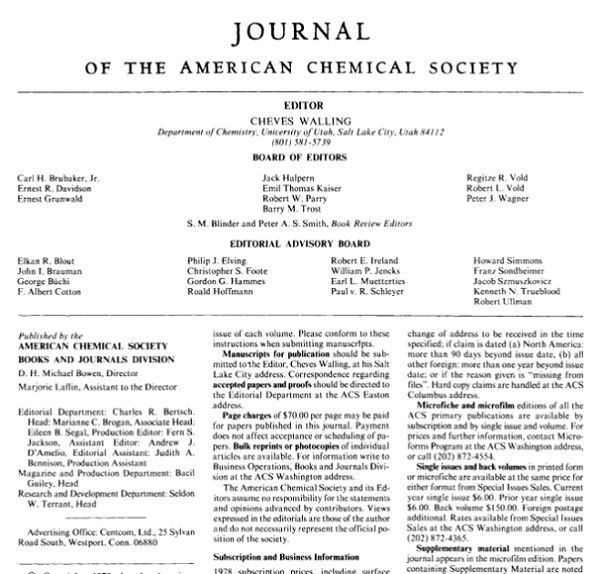 With Cheves Walling still leading the journal, JACS entered its 100th volume in 1978. Although the article was of relative interest at the time of publication, it has attracted a significant portion of its citations in more recent years and continues to be cited to this day. Allen J. Bard (b. 1933) became the 11th JACS editor in 1982, a position in which he served for 20 years from 1982-2001. Bard shares his roots with the ACS itself, being a native of New York City and receiving his B.S. from City College of New York in 1955. He received his M.S. in 1956 and Ph.D. in 1958 from Harvard University. Dr. Bard continues to pursue active research – and publish that research in JACS – and is a Professor of Chemistry at the University of Texas at Austin. His research interests include electroanalytical chemistry, kinetics and mechanisms of electrode reactions, semiconductor electrodes for solar energy conversion, electroorganic chemistry, electrogenerated chemiluminescence, photoelectrochemistry, and heterogeneous photocatalysis and photosynthesis. Of his time working on the journal, Dr. Bard said, shortly after stepping down as Editor-in-Chief, “JACS has always been a good journal. It’s easy to take over a good journal. I wanted to maintain the very high standard in the papers that were in it, and I think we’ve done that. But I also wanted to make it a more general journal. It’s certainly gotten much bigger, and more international.” These were changes that, rather than being conscious editorial decisions, reflected the changing face of chemistry itself. 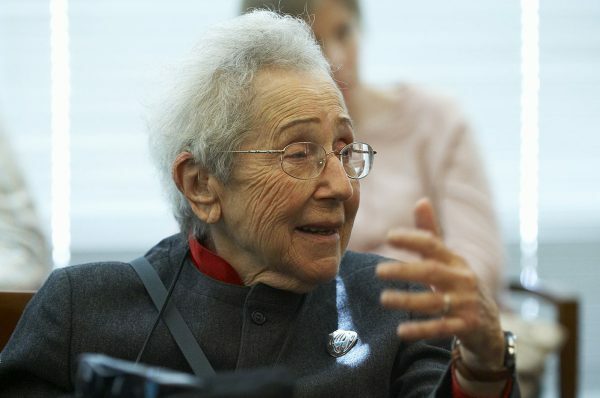 Mildred Cohn (1913–2009) was awarded the 1982 National Medal of Science, having overcome both gender and religious prejudices during her career in chemistry. She is known for pioneering the use of nuclear magnetic resonance to determine how proteins and enzymes behave during chemical reactions in the body. 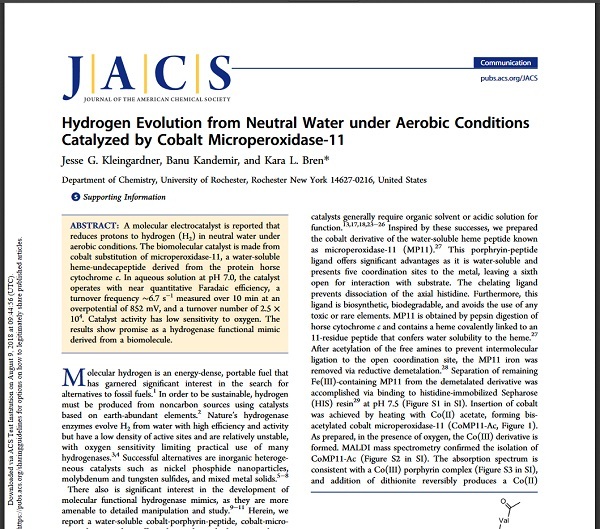 Read some of Cohen’s articles, published in JACS. Marye Anne Fox (b. 1947) became the journal’s first female Associate Editor in 1986. She is known for her work in physical organic chemistry. 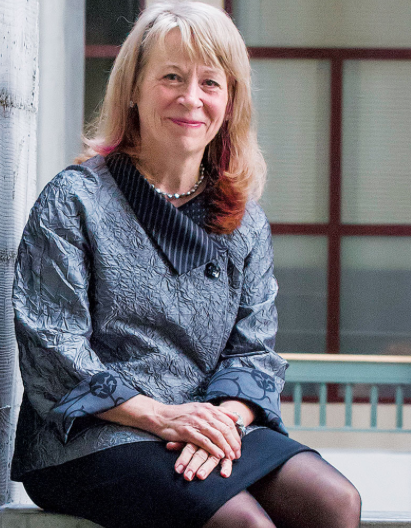 Her career includes not only being the first female Associate Editor but she also was the first female chief executive of North Carolina State University, was named the Chancellor of the University of California San Diego, and, in 2010, was awarded the National Medal of Science. In 1996, Dr. Fox published the article “Chromophore-Labeled Dendrons as Light Harvesting Antennae” with her colleague Gina M. Stewart. This would go on to be her most-cited article in JACS, attracting 267 citations to date. Fox has published extensively throughout her career, and you can see a selection of her work published in JACS here. Gertrude B. Elion (1918–1999) was awarded the 1988 Nobel Prize in Physiology or Medicine for her work in drug development. Despite graduating with degrees in chemistry, due to the gender bias of the time, it was not until there was a lack of male chemists during World War II that Elion was able to find work in a laboratory. Elion was a prolific author and published numerous papers in JACS, having devoted her research work to the discovery of new drugs and treatments. Her inspiration for fighting diseases came as a teenager, when her grandfather sadly suffered with and died of cancer. In 1994, JACS began publishing a compact disc (CD) version. 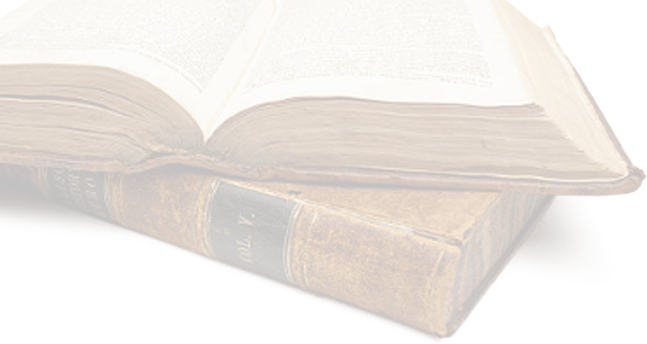 It was thought to aid in the reading, handling, and security of archiving a hard version of the journal. Additional supporting information was also included on the CD. A quarter of a century ago, this was deemed highly experimental! “‘Layer-by-Layer Assembly of Intercalation Compounds and Heterostructures on Surfaces: Toward Molecular “Beaker” Epitaxy’ was an important paper in a series of studies by several groups on how to make multilayer films on surfaces with molecular-level control of structure. We had been inspired by Jacob Sagiv’s early work on layer-by-layer growth of organosilane films (J. Am. Chem. Soc. 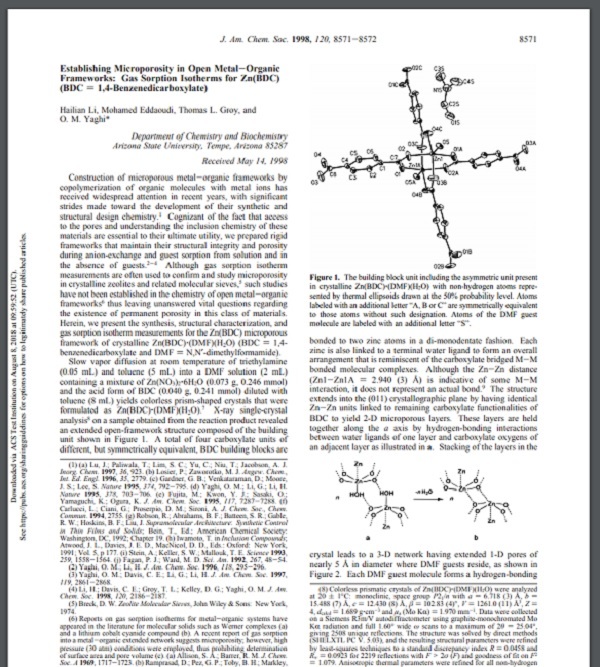 1983, 105, 674) and developed the metal phosphonate layer-by-layer assembly method in 1988 (J. Am. Chem. Soc. 1988, 110, 618). The idea was to start with a crystalline solid state metal-organic compound and grow it from its components by sequential adsorption. While this idea worked, it was inconvenient because it required bis(phosphonic) acids. 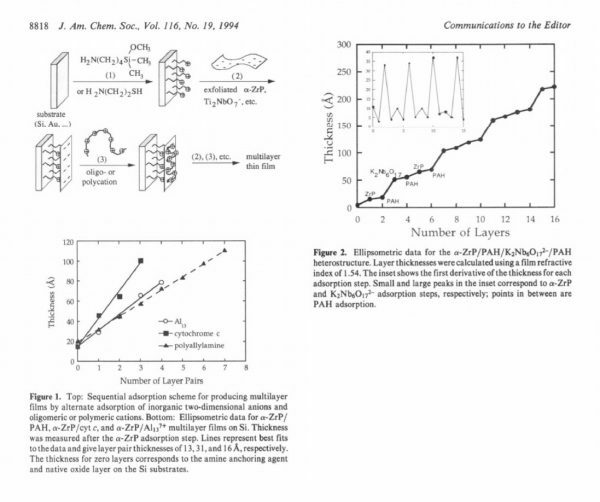 Gero Decher’s discovery (in 1991) of the polyelectrolyte layer-by-layer assembly method really broke this field open, because one needed only positively and negatively charged polymers – so simple an engineer could do it! But Gero found that the polymer layers were highly interpentrating, and for some applications that we were interested in, such as artificial photosynthesis, better control was needed. We reasoned that 2D nanosheets would give more perfect “lasagna” assemblies, in which there would be minimal interlayer penetration, and this idea was borne out in later studies (see e.g., J. Am. Chem. Soc. 1996, 118, 4222). The molecular “beaker” epitaxy method enabled us to make intercalation compounds on surfaces in virtually any desired sequence of layers. But as often happens in science, the same good idea can occur to two people at the same time. 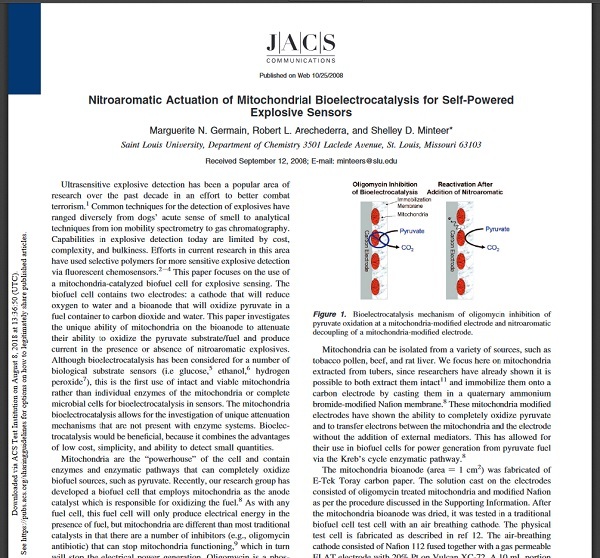 While our paper was in review at JACS a very similar study by Greg Ferguson’s group at Lehigh appeared in Science. We are happy to have been in the mix in the development of inorganic self-assembly chemistry. 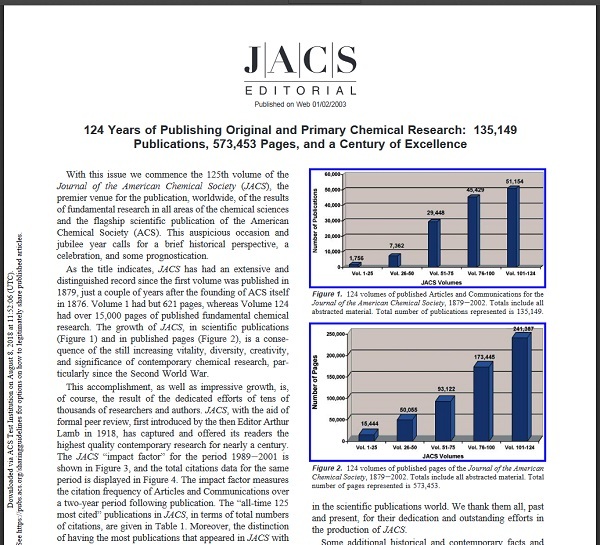 Another boom in research output from the growing scientific community led to the decision to start publishing JACS weekly, starting in January 1995, the journal’s 117th volume. 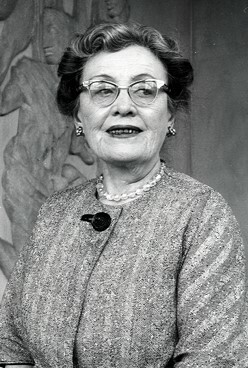 Isabella Karle (1921–2017) won the 1995 National Medal of Science, Chemistry. Dr. Karle was a renowned crystallographer and helped elucidate the structure of hundreds of complex molecules. She was a prolific JACS author, the 1976 Garvan-Olin medal, and the Women in Science and Engineering’s Lifetime Achievement Award. Following Karle’s death in 2017, many touching dedications noted her crucial contributions to her husband’s Nobel Prize-recognized achievements, as well as her international acclaim, diligence, and her willingness to collaborate and educate. 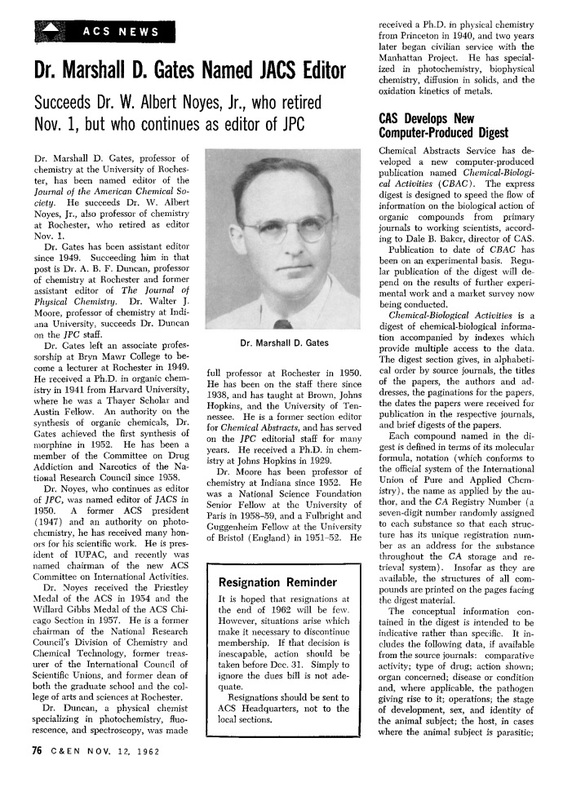 In “JACS on the Internet,” a 1996 editorial, Dr. Bard explained how and why life on the “World Wide Web” would benefit JACS. He explained the trends and why this was important to the journal’s future, and JACS embarked on a new way to present the journal. It was noted that “As an experiment we will also try out a section for selected correspondence and comments”—an experiment that would not last. It would be another 5 years before manuscripts could be submitted online. 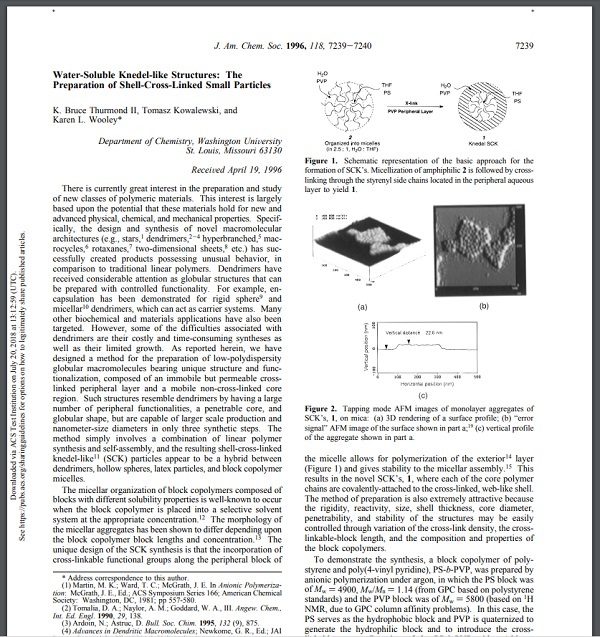 “Water Soluble Knedel Like Structures: The preparation of shell crosslinked small particles” was a milestone publication with special significance to me and to the fields of synthetic polymer chemistry, materials science and engineering, and nanomedicine, among others. 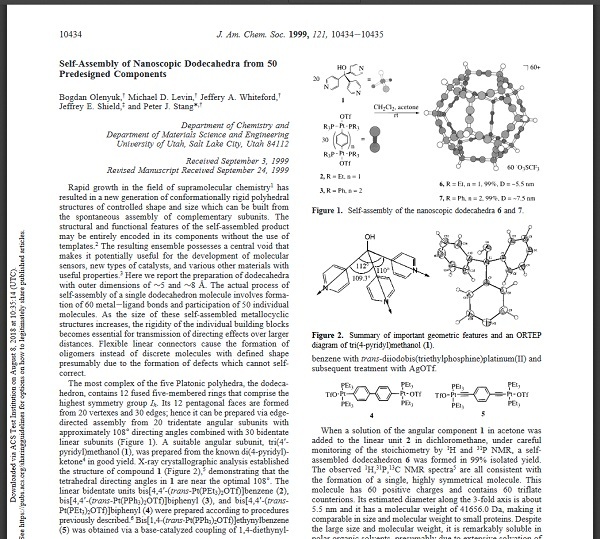 Sentimentally, it was my second publication as an independent scientist, with the first author being my first Ph.D. student, and the second being a good friend who recommended describing the core-shell polymer nanoparticles as “knedel-like structures” due to his Polish heritage. In terms of impact to the field – the concepts of supramolecular assembly of block polymers followed by covalent stabilization have become applied routinely to produce ever increasingly-complex nanoscopic materials. However, at the time, the approach and its implementation were revolutionary. In the mid-1990’s, block polymers were still being synthesized by challenging anionic polymerization conditions – controlled radical polymerization was just emerging. Well-defined nanoparticles and methods by which to characterize them were also merely on the horizon. Finally, it is remarkable that an idea that was conceived as a rapid and efficient strategy to produce globular macromolecules and overcome long painful days of dendrimer synthesis as a Ph.D. student, and which served as a central proposed research direction to secure my assistant professorship at Washington University in St. Louis, is still defining fundamental investigations and fascinating research directions toward advanced nanomedicines and other nanomaterials applications. “In those early days of our work, one of the biggest questions facing the field of coordination networks was how can they be made to be architecturally robust such that gases can pass in and out of their pores without collapse? Since the mid-1950s and up to the point of our publication (JACS 1998) these networks were made from weak transition metal-pyridine and -nitrile type bonds, and therefore, they were frail and unable to sustain porosity. The compound Zn(1,4-terephthalate) was among the very first member of the now large class of porous crystals, termed metal-organic frameworks (MOFs), to show architectural robustness and permanent porosity. The gas adsorption isotherm measured on this MOF (MOF-2) at 77K and low pressure allowed unequivocal determination of pore volume and surface area. This proof-of-porosity meant that these solids can be employed in many gas storage applications and more importantly that chemistry can be carried out on their interior. Ironically, when we first reported this MOF’s porosity, no one seemed to care because it was only 275 square meters per gram, but the community took notice the following year when we reported MOF-5 whose porosity of 2,900 square meters per gram broke all-time records. “More broadly, it pointed to their use as agents for genetic medicines, and even synthons in colloidal crystal engineering, by highlighting how the properties of DNA change due to secondary structure (how it is arranged on a surface of spherical particle template). 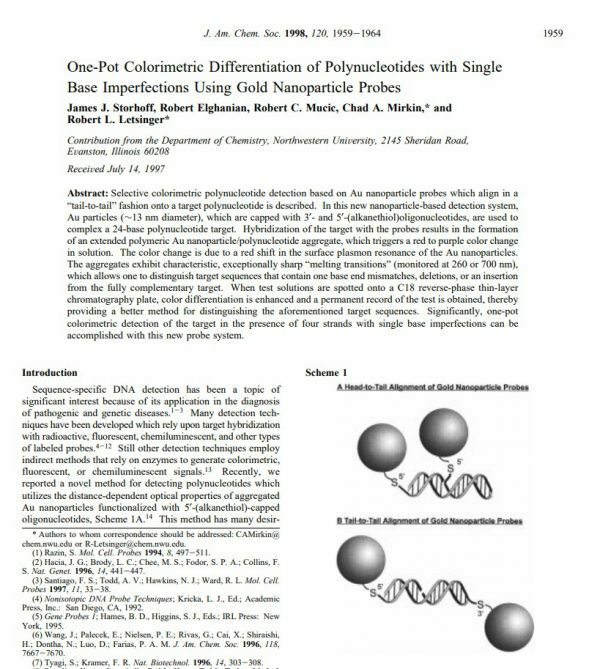 The simple colorimetric scheme reported in the paper described a plasmon-amplified way to colorimetrically follow hybridization and popularized the “sandwich assay” format for well-characterized nanoparticle constructs in biodetection. “A dodecahedron is one of the five regular Platonic solids consisting of 12 faces (pentagons, three meeting at each vertex), 30 edges and 20 vertices. It is the closest of the Platonic solids to mimic the shape of a sphere and the ancient Greeks used it as the symbol of the Universe. “When my former graduate student Patty Fu was performing these experiments, we were surprised by the results. We didn’t expect that a single lanthanide ion would bind selectively to GG DNA mismatches and that guanine would be able to sensitize terbium emission. “We had designed an electron-rich phosphorus-based ligand for Suzuki cross-coupling reactions of aryl chlorides, which are attractive coupling partners due to their wide availability and low cost. In 2001, ACS implemented “fully electronic procedure via the Web,” for Communications and articles submitted to JACS. Today we know this simply as “Online Submission”. Indeed, processing times for the journal subsequently were reduced from 15 to 10 weeks and submissions from international authors grew from 6,100 to more than 10,000 submissions over the last 10 years. Digitization of the full JACS back catalog, back to the first issue in 1879, was also underway and is now fully available. “Nanotechnology has been one of the most critical developments of the 21st century. Nanoparticles exhibit very interesting size-dependent electrical, optical, magnetic, and catalytic properties that cannot be achieved by their bulk counterparts. These unique features make them attractive for various applications, including energy storage and conversion devices, electronic devices, medicine, and catalysis. Consequently, reproducible and scalable synthesis of uniform nanoparticles is one of the most essential tasks in modern nanoscience and nanotechnology. 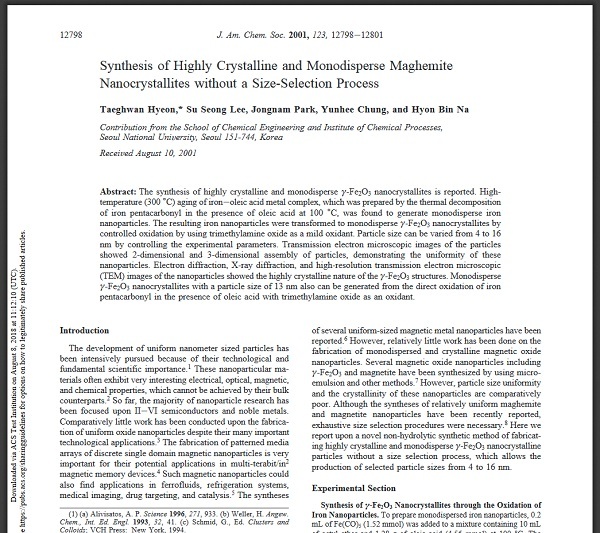 Most of the synthetic protocols adopted in the nano-community were optimized for small scale (tens to hundreds of milligrams) preparations of uniform-sized nanoparticles because these methods often involved time-consuming and difficult size sorting processes from a polydispersed mixtures. 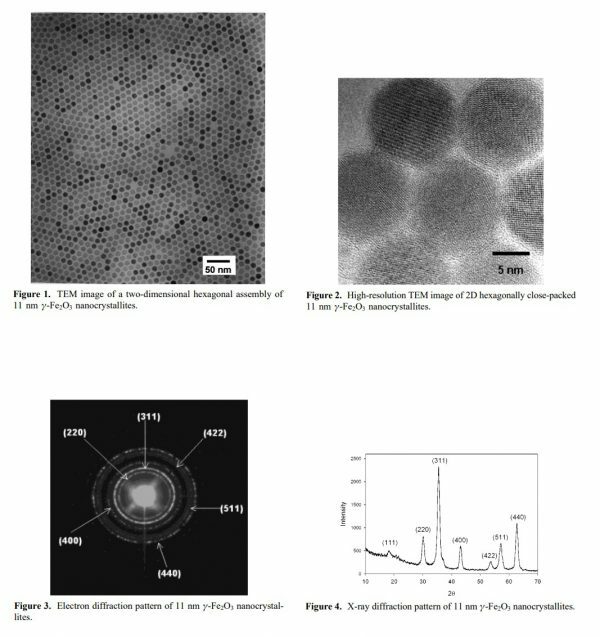 In 2001, our laboratory reported a novel method of direct synthesis of uniform-sized metal oxide nanoparticles for the first time without need for further size-specific purification process. The method was based on thermal decomposition of metal precursors in the presence of fatty acids. The size control of nanoparticles has been achieved by the passivation of the growing nanoparticles surface with various-sized fatty acids. The elegant method is simple yet highly reproducible so it is not surprising it has been rapidly adopted worldwide and is currently employed by many world-leading research groups, which is evidenced by high citation of >1500 times according to Web of Science®. The current Editor-in-Chief of JACS, Peter J. Stang, took up the role in 2002. Dr. Stang is credited with revitalizing and enhancing the journal, culminating in an increase in citations and its Impact Factor. In 2002, the journal had an Impact Factor of 6.201 and has enjoyed year-on-year growth since. Beyond his leadership of the journal, Dr. Stang has had a long, productive, and internationally recognized career. 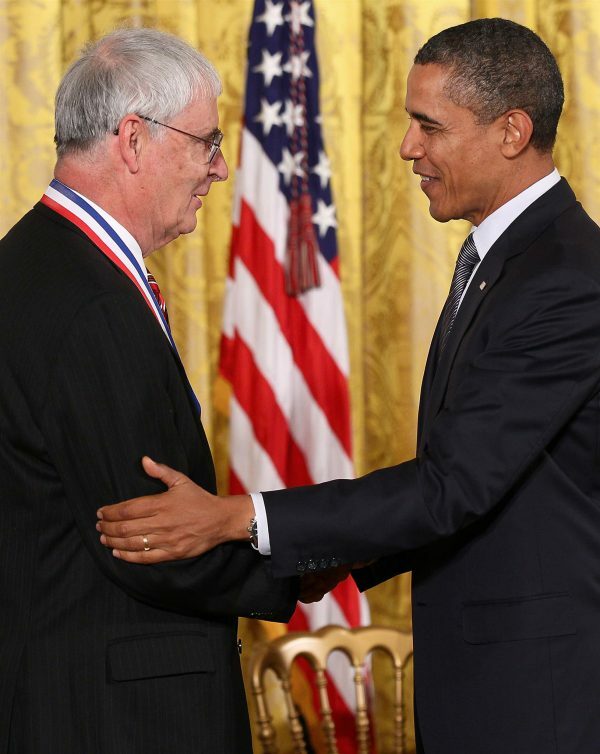 He has been awarded the Priestly Medal, the National Medal of Science, and the Linus Pauling Award, to name but a few, and he is a member of the National Academy of Sciences. 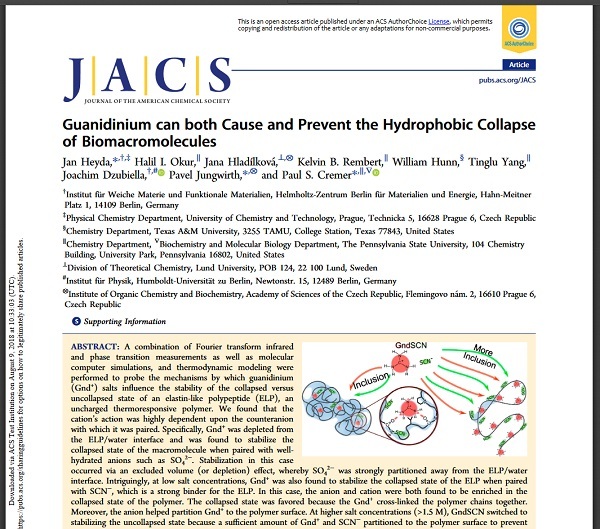 A selection of his research, published in JACS can be browsed here. The JACS‘ 125th anniversary was marked with a scientific symposium at the ACS National Meeting in New York City, followed by an evening reception to celebrate “JACS‘ 125 volumes of excellence and C&EN’s eight decades of accuracy, insight, timeliness, and impact,” said ACS President Elsa Reichmanis. 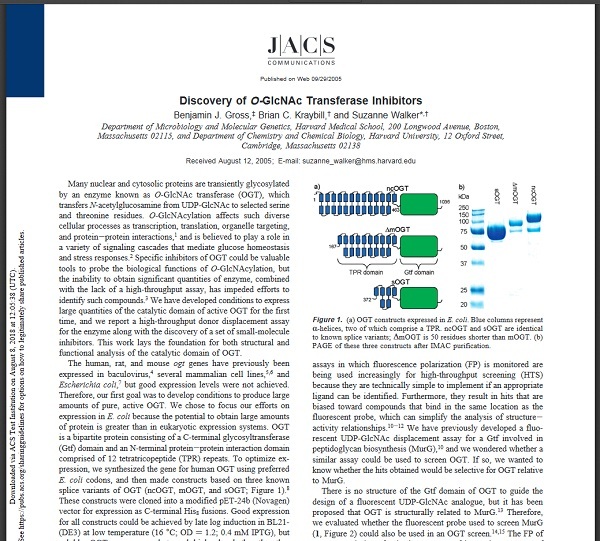 “This paper describes a high throughput screen for inhibitors of OGT (O-GlcNAc transferase), a nutrient-responsive glycosyltransferase found in all multicellular organisms. 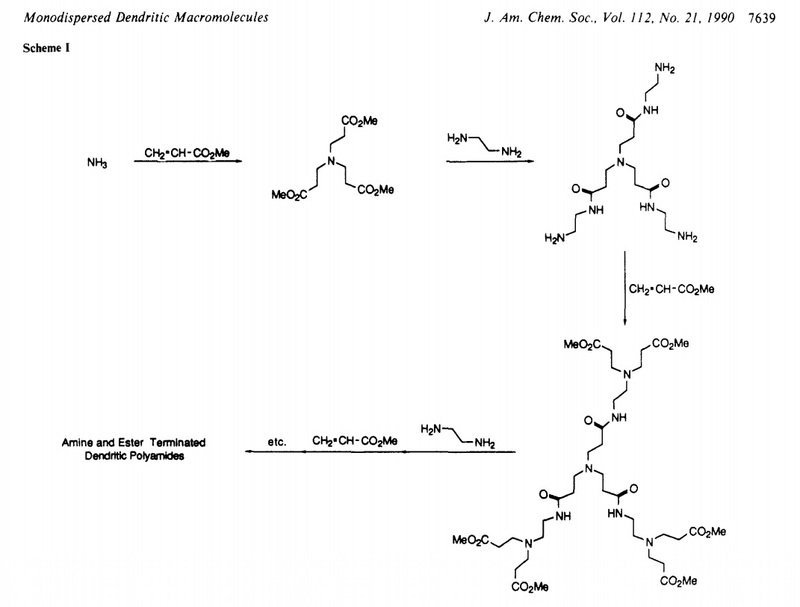 In the 1980s, Gerald Hart and coworkers made the then shocking discovery that nuclear and cytoplasmic proteins in mammalian cells are modified with O-N-acetyl glucosamine (O-GlcNAc). Up until that point, scientists thought that only proteins in the secretory pathway were glycosylated. Hart later identified OGT as the sole enzyme responsible for the modification. Graduate student Ben Gross and I began to work on OGT in 2000 in order to establish a chemical foundation for understanding OGT function. We wanted small molecule inhibitors that could be used to probe OGT in cells and we also wanted to obtain structural and mechanistic information on the enzyme. 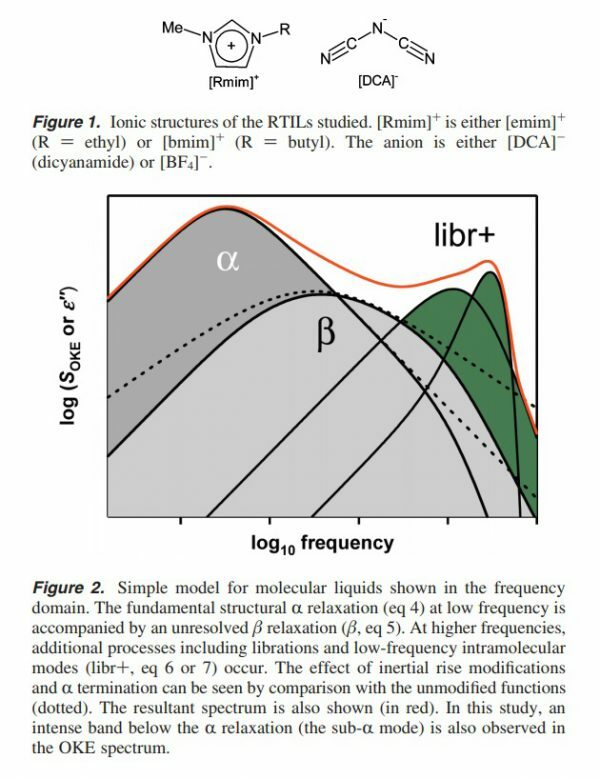 At that time, it was impossible to obtain OGT in quantities useful for such studies so the first thing we did was to work out methods to produce the enzyme in large amounts, and one important aspect of the Gross 2005 paper is that it describes those methods. 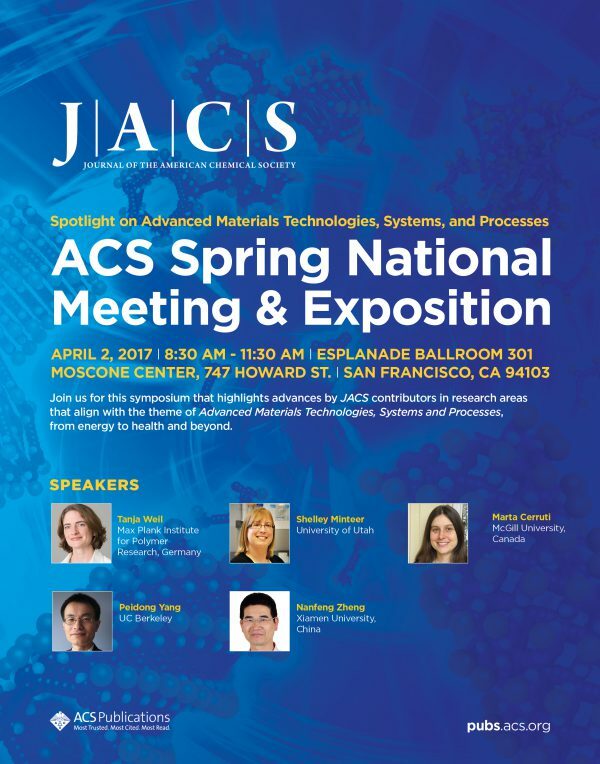 As a leading scientific publication, JACS has a long history of innovation and of seeking new ways to best serve the scientific community. In 2006, the ACS introduced Open Access options so that all ACS journals, including JACS, offered authors, their funders, and institutions the opportunity to make any article open access. In 2014, this was expanded to include more ACS AuthorChoice license types — ACS Editors’ Choice and ACS Author Rewards — as well as two fully open access journals, ACS Central Science and ACS Omega. Browse ACS Editors’ Choice articles, and find out how to publish your research open access with ACS Author Choice. “In 2007, our group, in collaboration with Bruce Conklin’s lab at UCSF, reported the first example of direct interfacing silicon nanowires with mammalian cells. Nanowires serve as ‘nano-syringes,’ transiently puncturing the cell membrane to deliver therapeutic material or genome editing machinery without causing lasting damage. It was named as one of the Scientific American 50 technologies of the year. The image of the “Cells on a bed of nails” was used to advertise the first cover arts publication for JACS at the 236th ACS National Meeting in 2008. 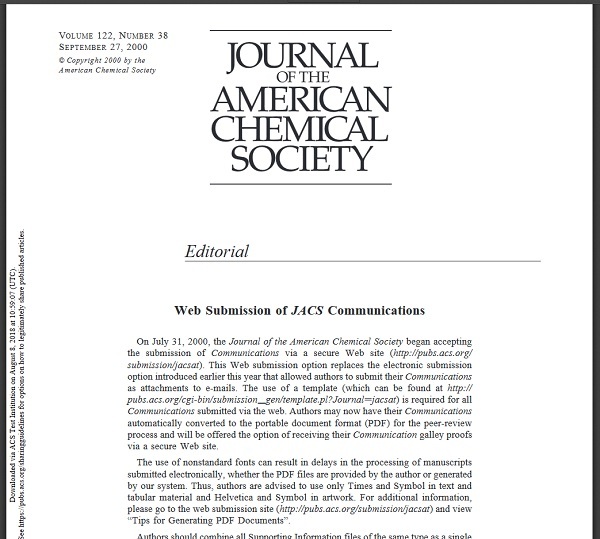 During volume 130 of JACS, 2008, the ACS launched the JACS Beta website. 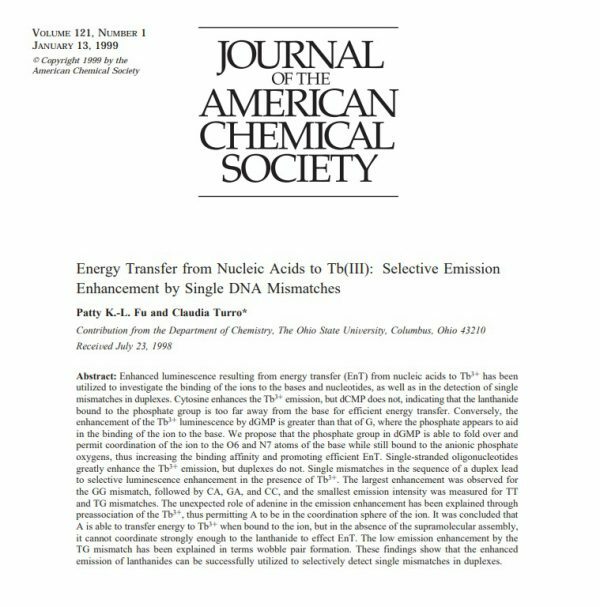 The site was the testing ground for the journal website and a way for the ACS to collect feedback from the scientific community on what their needs were and how they could be met by journal websites and editorial initiatives. Initial features trialed during this period included JACS Virtual Issues, interviews, audio summaries, and PowerPoint slide sets. JACS Beta website lasted for almost a decade before it was officially archived in 2017. Ten years later, the initiative has expanded to draw in the best research from across ACS Publications, with recent ACS Select virtual issues covering topics such as electroanalytical chemistry, natural product total synthesis and the now-annual, JACS Young Investigators Virtual Issue. The JACS Image Challenge began during the trial of the JACS Beta page as a fun way for people to test their chemistry knowledge. Proving itself to be a popular quiz, the Image Challenge soon found its way to the journal’s Facebook page, where it currently resides and is regularly updated. The journal joined the social media realm with the creation of its Facebook page in 2008. 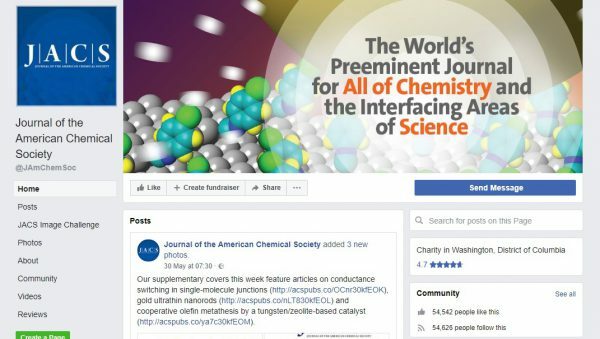 Now in 2018, the chemistry community thrives on Facebook, with more than 54,000 people following @JAmChemSoc. “Our lab was designing DNA probes, especially molecular beacon, a hairpin DNA structure which undergoes a conformational change after single stranded DNA hybridized by its complimentary DNA. 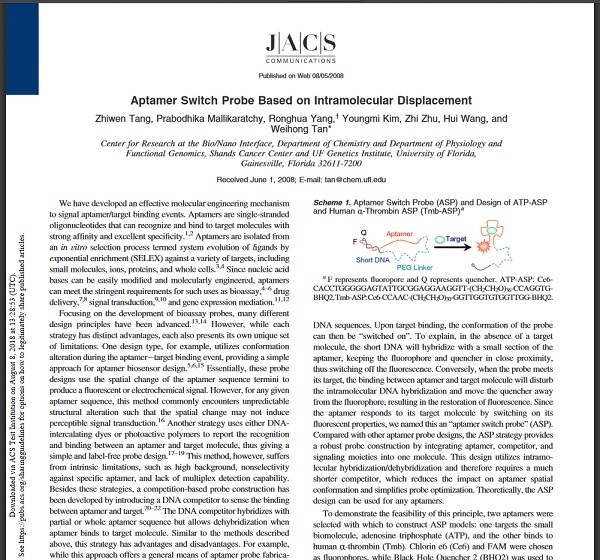 At the same time, our lab has begun research on aptamers, single-stranded oligonucleotides that can recognize and bind to target molecules with strong affinity and excellent specificity. JACS extended its reach further into the world of social media with its first tweet sent in November 2009. Now with more than 36,000 followers, JACS continues to tweet research, news, and information from the journal. In response to feedback on the JACS Beta website, ACS Publications launched the JACS Journal Club. Everyone — students, postdoctoral researchers, faculty, and other chemistry enthusiasts — was invited to ask questions and comment on the latest research. The Journal Club was a place to learn what does and does not work before starting experiments, take a guided tour of recent publications, and find out about the “Aha!” moments of recent authors, however it was a project that was later discontinued. With the start of volume 131, JACS began highlighting articles of special interest with illustrations on the journal cover. Our covers still feature images from articles. Browse the full cover art gallery. The first international Associate Editor for JACS was named in 2009: Klaus Müllen, Max Planck Institute for Polymer Research, Germany. 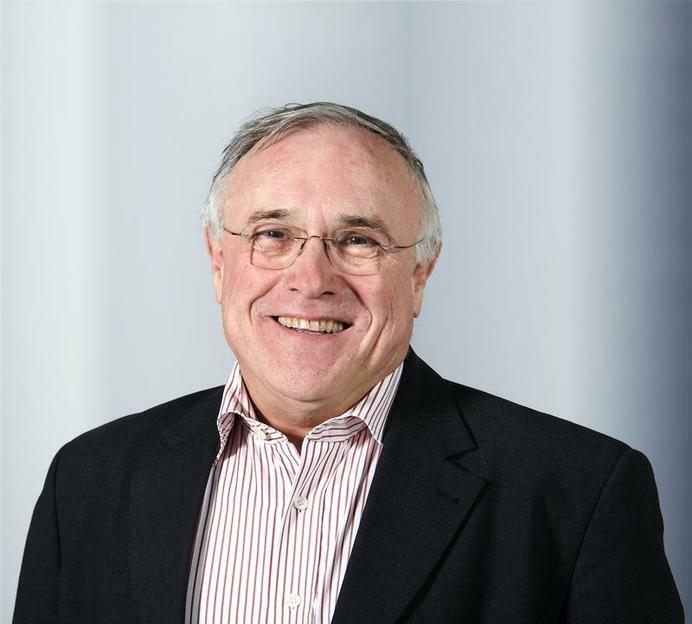 Klaus Müllen, of the Max Planck Institute for Polymer Research in Germany, accepted this position on the JACS Editorial Board, leading the way for future international editors and encouraging more authors from outside the United States to join the JACS community. 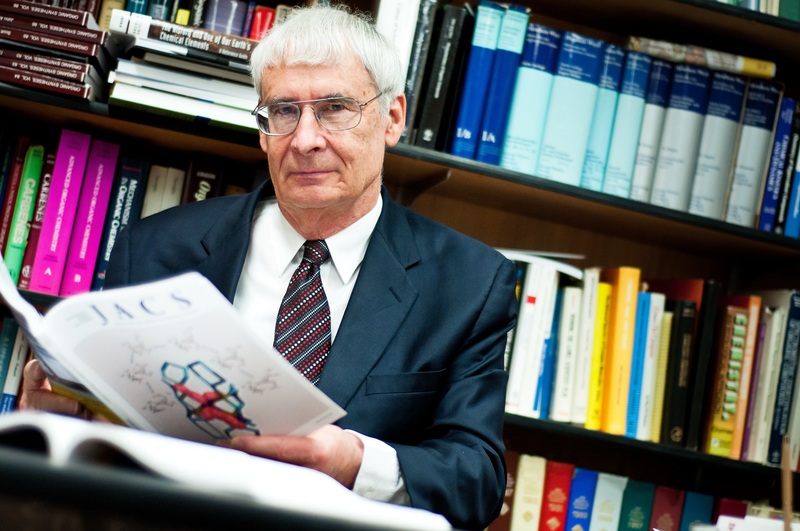 Dr. Müllen himself has been an active JACS author for almost 20 years, first publishing in the journal in 1999. 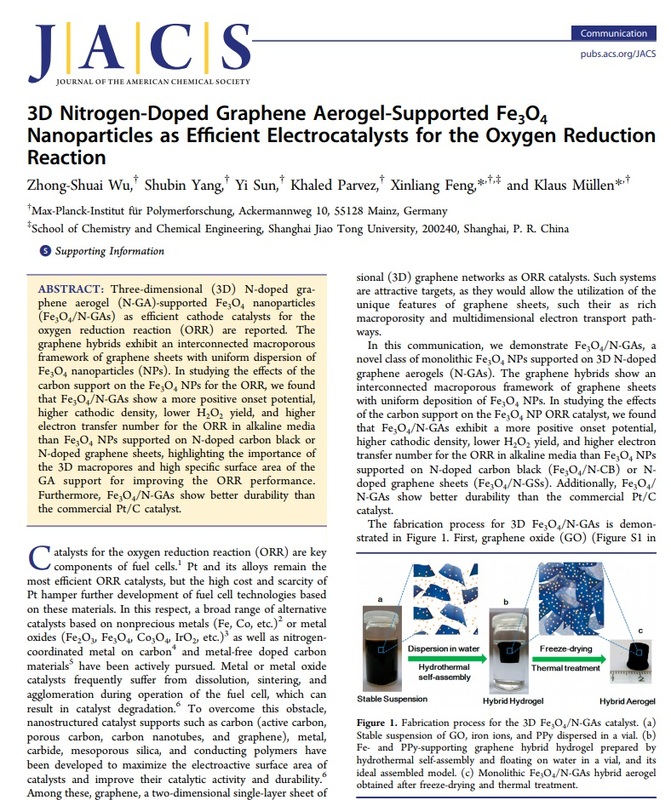 In 2012 Dr. Müllen published “3D Nitrogen-Doped Graphene Aerogel-Supported Fe3O4 Nanoparticles as Efficient Electrocatalysts for the Oxygen Reduction Reaction” which has attracted over 1,000 citations and over 26,000 downloads to date. This was followed by his 2013 Perspective: “Natural Product and Material Chemistries—Separated Forever?“. In 2015, he also compiled an ACS Select virtual issue on the topic of donor-acceptor polymers. 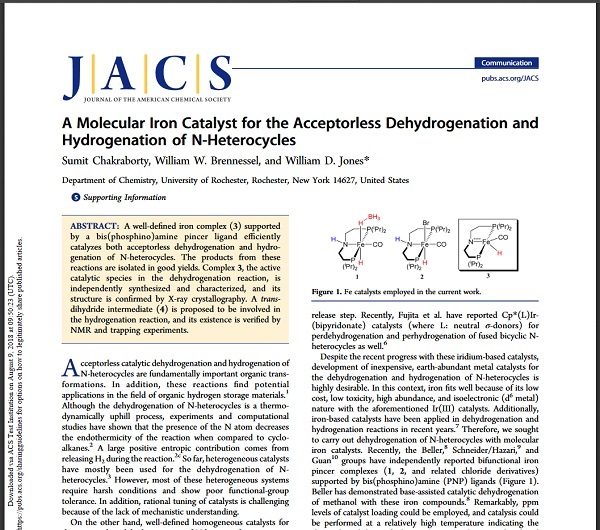 The idea of the JACS Perspectives was introduced by Dr. Peter Stang in an editorial in 2009. 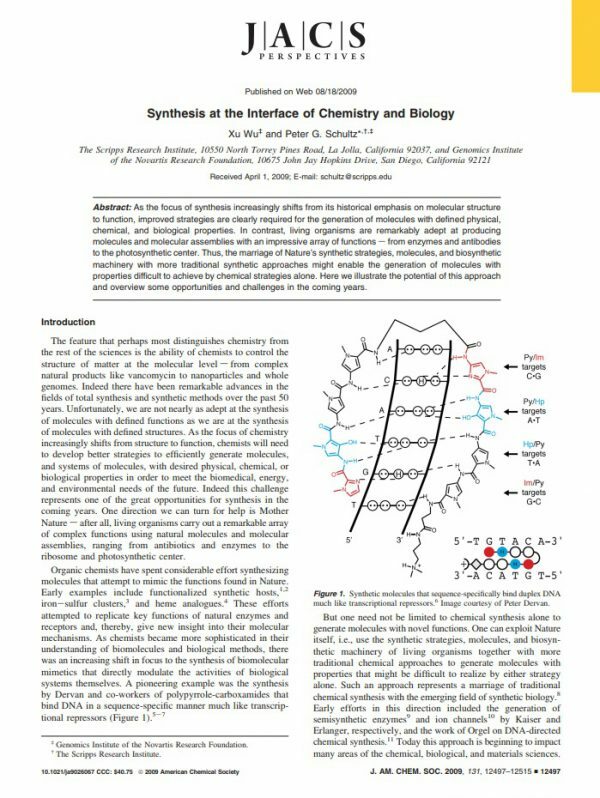 The very first JACS Perspective was “Synthesis at the Interface of Chemistry and Biology“. “I remember this was a collaboration that kept expanding until four groups from across the globe (literally) worked as one to stitch together spectra from megahertz to terahertz to show something that had not been possible to show before. In 2010, JACS went mobile! 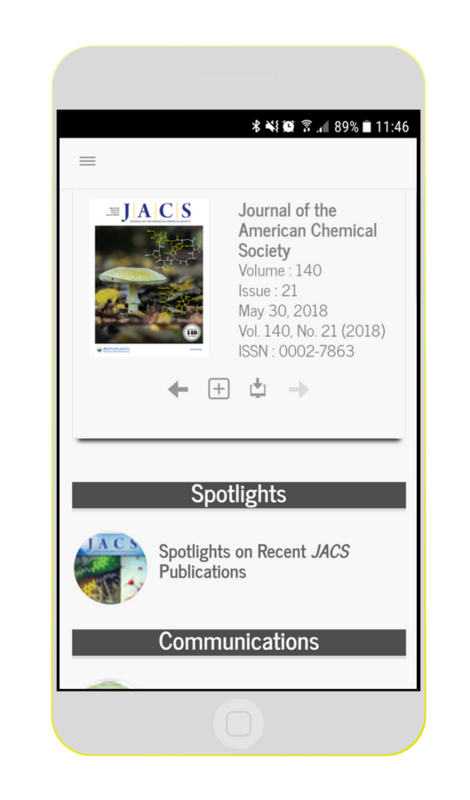 ACS Publications rolled out its mobile platform after the JACS Beta website tested programs to ensure the journal going mobile would fit the needs of researchers. “This was a breakthrough moment for us. We had been working on NMR for surface chemistry for about a decade, always struggling against the sensitivity barrier. We had the idea that we could enhance surface signals with DNP, by adding a radical containing wetting phase to the surface, but we never expected it work so well, or to turn out to be so general! Professor Joseph S. Francisco joined the JACS board of editors in January 2019. 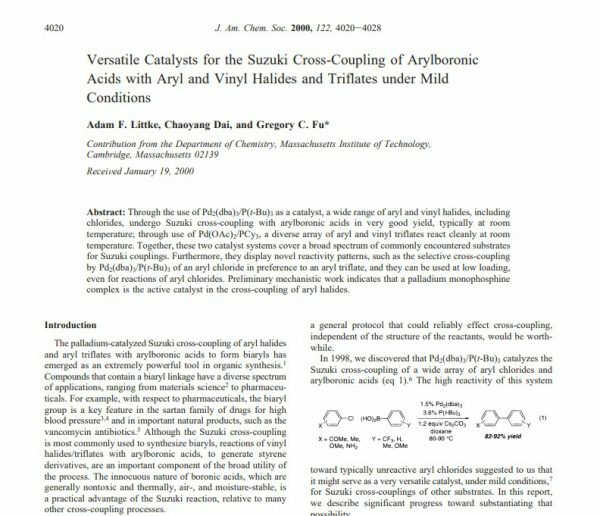 One of his selected article highlights is “Sulfuric Acid as Autocatalyst in the Formation of Sulfuric Acid“, published in 2012. 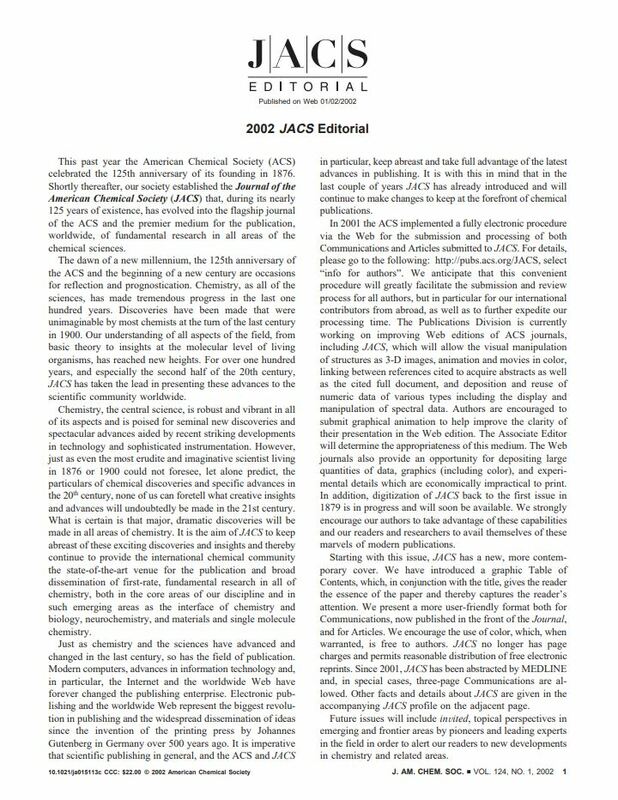 In 2012, JACS introduced Spotlight articles as a way to highlight recent publications in the journal — summarizing the key findings and, more importantly, communicating the impact and significance of the work in a way that will be relevant to nonexperts. 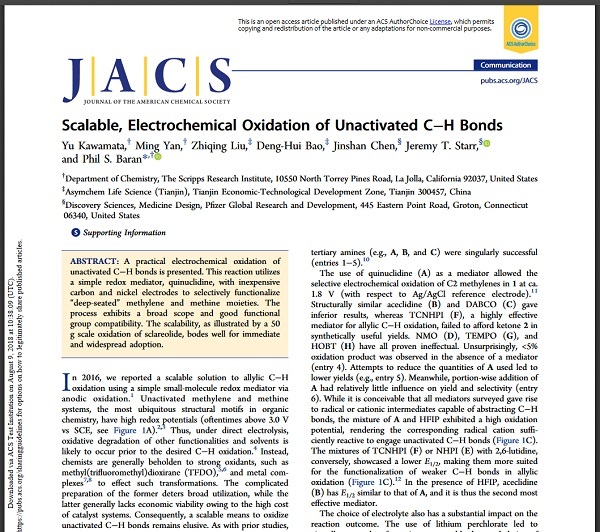 To further increase their discoverability, JACS Spotlights are now incorporated into each issue of the journal. 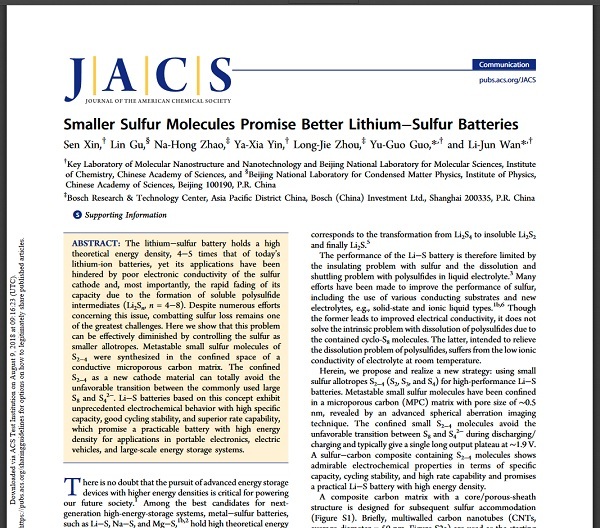 “The promising potential of Li-S battery is challenged by the irreversible S loss through an electrochemical “shuttle” process related to the formation of mobile polysulfide intermediates. The work by our lab and Prof. Yu-Guo Guo identified an effective route to fight against this fetal fading issue by caging the active materials of S into tiny pores with size around ~0.5 nm, where S exists as only short-chain-like S allotropes (S2-4) to prevent the formation of soluble high-order polysulfides. “Not surprising in view of its unique physical and chemical properties, graphene has been considered for a great variety of applications. Energy technology is one option which, of course, meets the urgent need of our societies for energy conversion, transport and storage. Fuel cells as key elements of future mobility concepts define two challenges for materials science: stable membranes with high proton conductivity and catalysts for the oxygen reduction reaction (ORR). Regarding the latter issue, supported platinum catalysts appear as the primary choice, but platinum is too expensive and too scarce to make this approach sustainable. Materials must be made before they can be put to work which calls for the expertise of chemistry. In our graphene-based fabrication of ORR cataysts, we implemented three principles: i) incorporation of nitrogen into graphene lattices, ii) hybride formation upon complexation of non-precious metals or metal oxides, and iii) morphology control for efficient mass transport. Read the coverage in C&EN. Watch the Priestley Medal Award and Presentation. “This communication, which was my group’s first in the area of energy-related catalysis, was the result of the outstanding work of two talented graduate students who are professors themselves now. “This paper was our first foray into catalytic dehydrogenation of a substrate using a first row transition metal catalyst. We became interested in homogeneous earth-abundant catalysts for dehydrogenation of amines such as tetrahydroquinoline as members of a DOE EFRC based at General Electric. The project was directed toward development of a liquid-organic fuel cell, and our role was to find transition metal catalysts that could form polyhydrides by dehydrogenating the organic substrate. We were then to use an electrode to oxidize the polyhydride to produce electrons and protons. “This paper is important because it established that the carbohydrate moiety of bleomycin is both necessary and sufficient to confer tumor targeting properties to this clinically used antitumor agent. In subsequent publications, we showed that the carbamoylmannose moiety alone can confer tumor targeting properties and that structurally related carbamoylated mannose derivatives function more efficiently than the carbamoylmannose constituent of bleomycin. 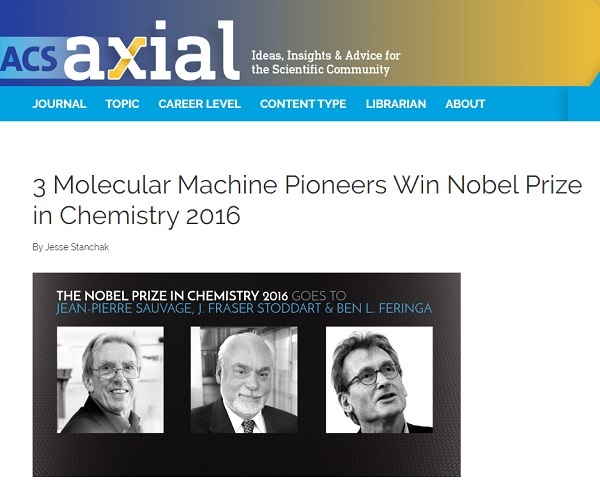 The 2016 Nobel Prize in Chemistry was awarded jointly to Jean-Pierre Sauvage, Fraser Stoddart, and Ben Feringa for their work on the “design and synthesis of molecular machines,” paving the way for the world’s first smart materials. All three continue to be prolific authors of scientific papers, and JACS is honored to have published an excellent selection of their esteemed work. Find out more about each of these Nobel Laureates and the research they have published with ACS. “This paper arose from a collaboration with an experimental team led by Simone Ciampi. We had just shown that external electric fields could accelerate a Diels Alder reaction [Nature 2016, 531, 88] and I wanted to use fields to cleave alkoxyamines in electrochemical cells so as to initiate and control polymerization. 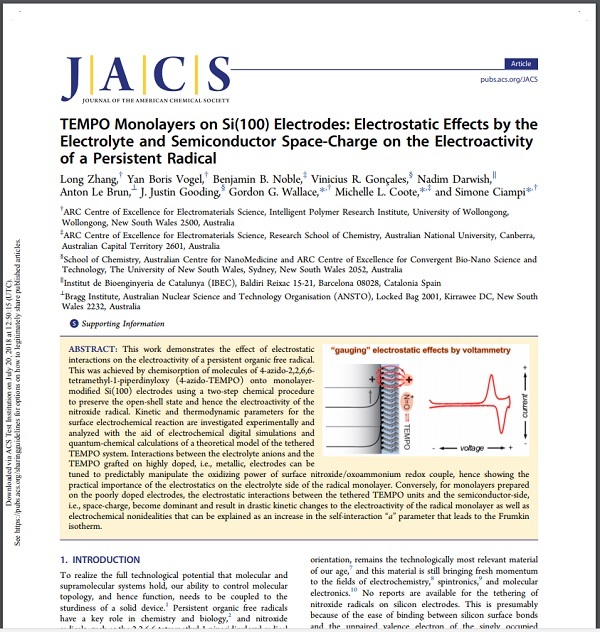 As a first step, Simone attached a TEMPO derivative to monolayer modified Si(100) electrodes and performed cyclic voltammetry to both deliver the electric field and confirm the presence of the nitroxide through its characteristic oxidation wave. What followed was the discovery that the electric fields from surface charging on the electrode, and from the ions in the double layer, were sufficient to cause drastic changes to oxidation behavior. Backed by a theoretical study from my group, we showed how to harness these effects to predictably manipulate the oxidizing power of the surface-tethered redox couple or cause drastic kinetic changes to the electroactivity of the radical monolayer. We later showed that these electrostatic effects also left fingerprints in cyclic voltammetry traces that until now had been discarded as flaws [Nature Comms 2017, 8, 2066], and could be used to trigger otherwise unfavorable chemical reactions [JACS 2018 2018 140, 766]. In the first JACS Young Investigators Virtual Issue, Editor-in-Chief Peter J. Stang shined the spotlight on outstanding work of young investigators published in the journal. The collection of 22 articles and Communications highlighted premier research in diverse topical areas from scientists around the world. Early-career researchers from China, Australia, Canada, Germany, Japan, and the U.S. are celebrated in this special virtual issue. The 2018 JACS Young Investigators Virtual Issue was released in Summer 2018. 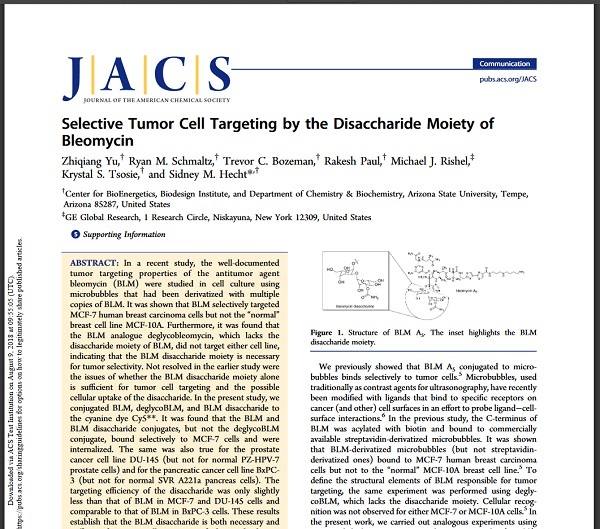 JACS‘ highest Altmetric scoring article was published in 2017 and was written by a team of researchers at The Scripps Research Institute, California, and Virginia Commonwealth University, Virginia. It was picked up in more than 80 news stories in 62 outlets worldwide. It is easy to see how this article captured the attention of the media, with research detailing efforts to expand the limited pharmacotherapy options for opioid-use disorders with the development of an effective heroin vaccine. 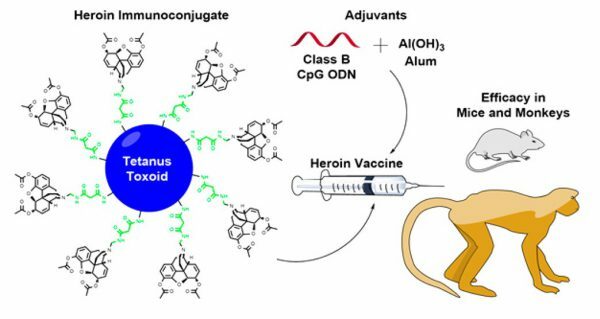 Read the article “Development of a Clinically Viable Heroin Vaccine” by Paul T. Bremer, Joel E. Schlosburg, Matthew L. Banks, Floyd. F. Steele, Bin Zhou, Justin L. Poklis, and Kim D. Janda. “Electrochemistry is perhaps the oldest and most sustainable form of redox chemistry. In fact, many of the pioneering studies in this arena have appeared in JACS over the last 140 years. 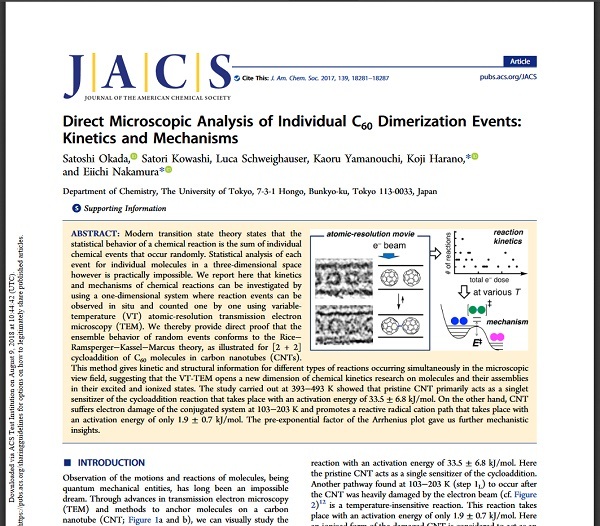 This paper reports a kinetic study based on in situ counting of individual reaction events one by one, and demonstrates experimentally that chemical reactions follow the quantum mechanical transition state theory. Observation of the motions and reactions of molecules had long been an impossible dream. The movies of the conformational change of hydrocarbon molecules enabled by atomic-resolution transmission electron microscopy we reported in 2007 illustrated the first stage of studies in the field, and this paper after 10 years illuminates the beginning of the second stage—studies on reaction mechanisms by watching individual reaction events. 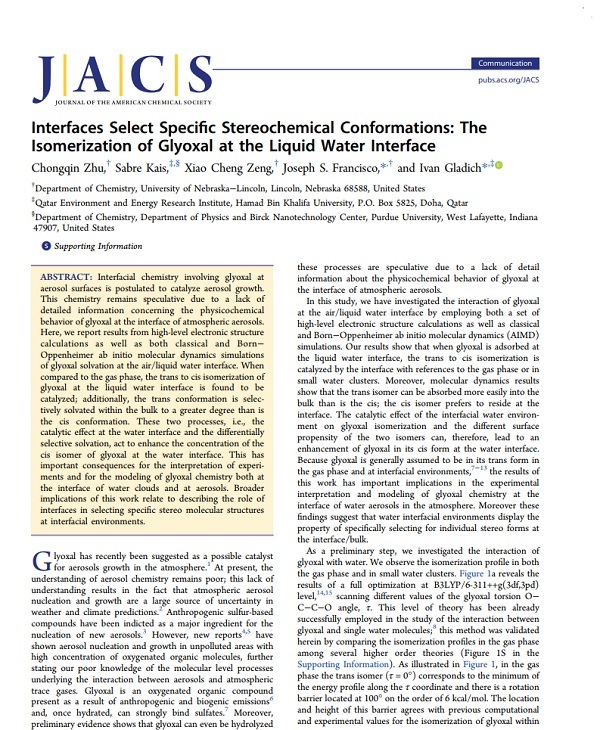 One of his selected article highlights is “Interfaces Select Specific Stereochemical Conformations: The Isomerization of Glyoxal at the Liquid Water Interface“, published in 2017. 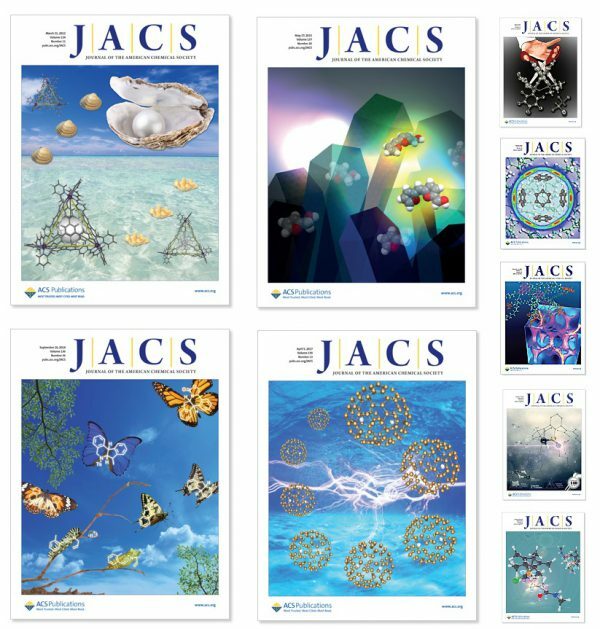 2018 marks the 140th volume of JACS, solidifying the journal as still the world’s preeminent journal for all of chemistry and the interfacing areas of science. The cover article, from researchers at the University of Cambridge and Imperial College London, details the comparison of “photoelectrochemistry of photosystem II protein films with cyanobacteria biofilms to derive: (i) the losses in light-to-charge conversion efficiencies, (ii) gains in photocatalytic longevity, and (iii) insights into the electron transfer mechanism at the biofilm interface”. Geraldine Richmond was awarded the ACS’ highest honor when she was presented with the 2018 Priestley Medal. 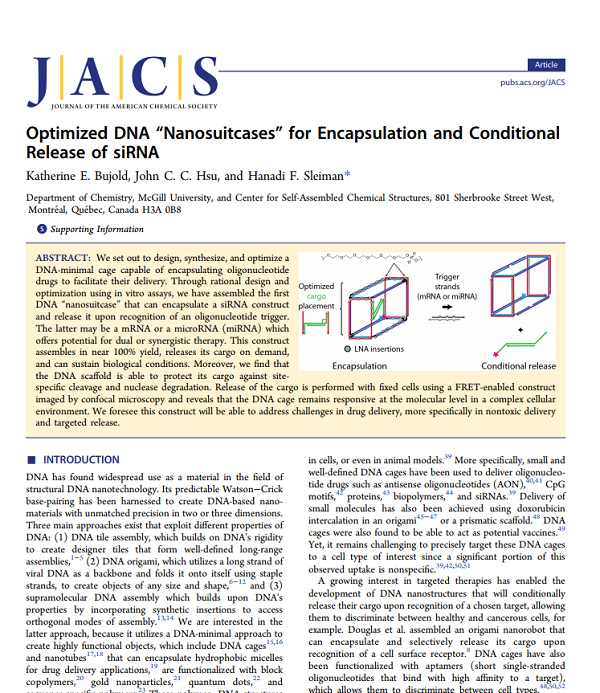 In 2018 Associate Editor Hanadi Sleiman joined the JACS team and chose to highlight the article “Optimized DNA Nanosuitcases” for Encapsulation and Conditional Release of siRNA“ written with colleagues Katherine E. Bujold and John C. C. Hsu. The article was also summarized in the JACS Spotlight: “For a Therapeutic Trip, Pack a Nanosuitcase“. Professor Joseph S. Francisco (b. 1955) was appointed to the JACS board of editors in January 2019. 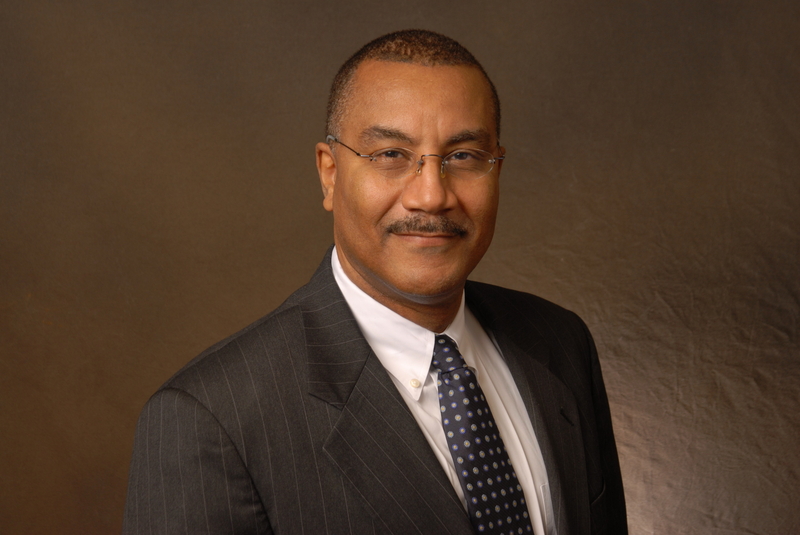 He is the journal’s first African American editor. Known for his research in atmospheric chemistry, Professor Francisco has revolutionized understanding of chemical processes in the atmosphere. Professor Francisco was President of the American Chemical Society in 2010. He currently serves as the President’s Distinguished Professor of Earth and Environmental Science and Professor of Chemistry at the University of Pennsylvania. 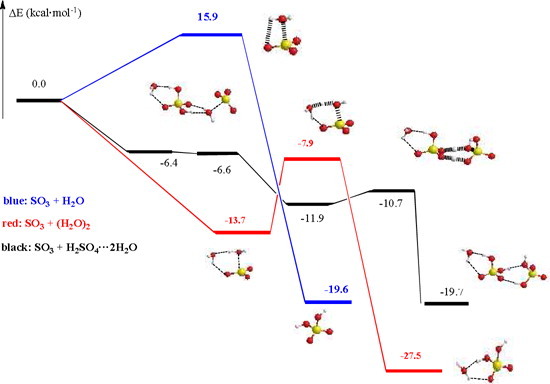 Sulfuric Acid as Autocatalyst in the Formation of Sulfuric Acid and Interfaces Select Specific Stereochemical Conformations: The Isomerization of Glyoxal at the Liquid Water Interface. Where do you fit in JACS' history? We hope you’ve enjoyed exploring the rich and varied history of JACS, and now we encourage you to send us your own contribution! If accepted, we’ll add your milestone to the timeline so that everyone can see how you fit into JACS’ history.